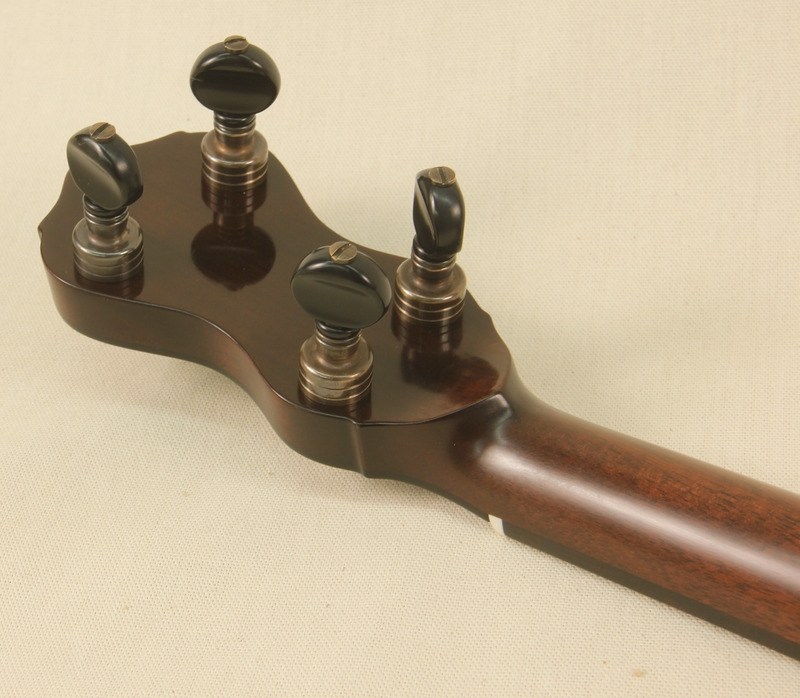 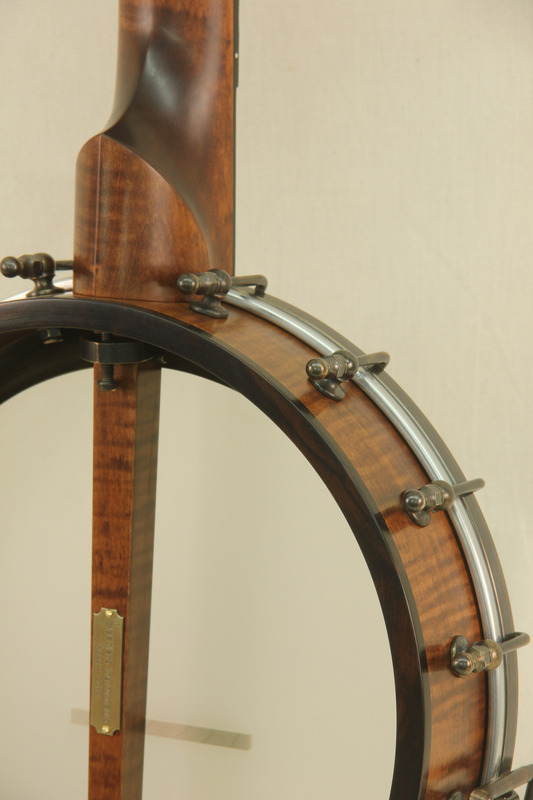 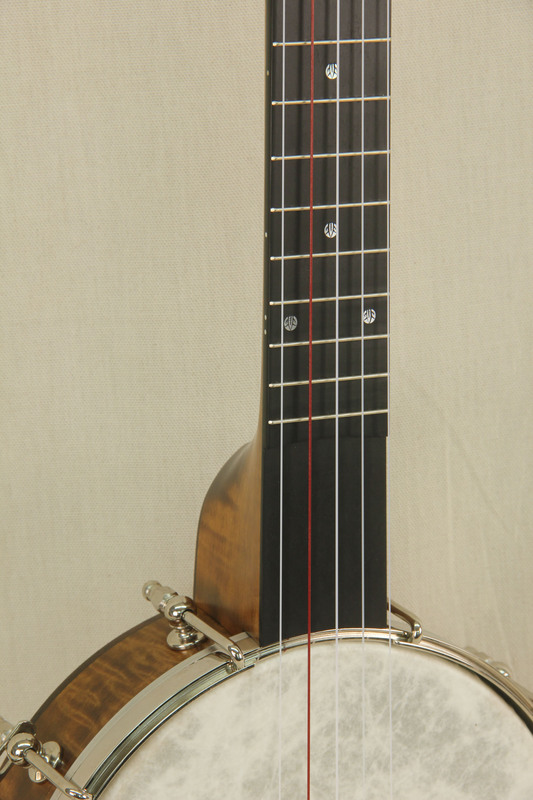 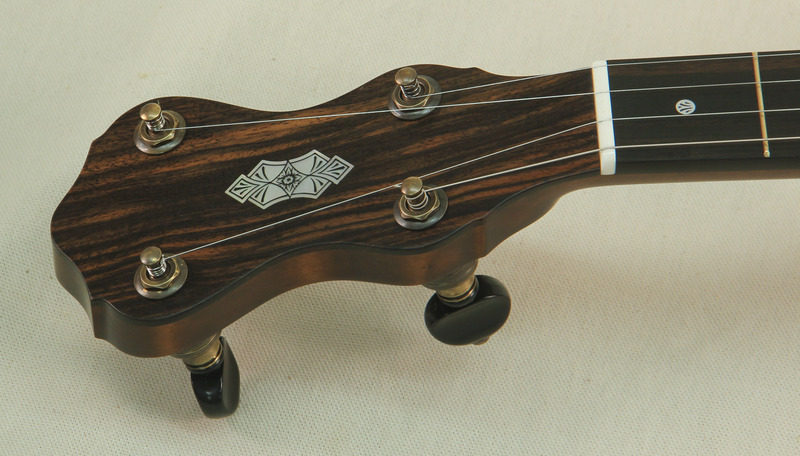 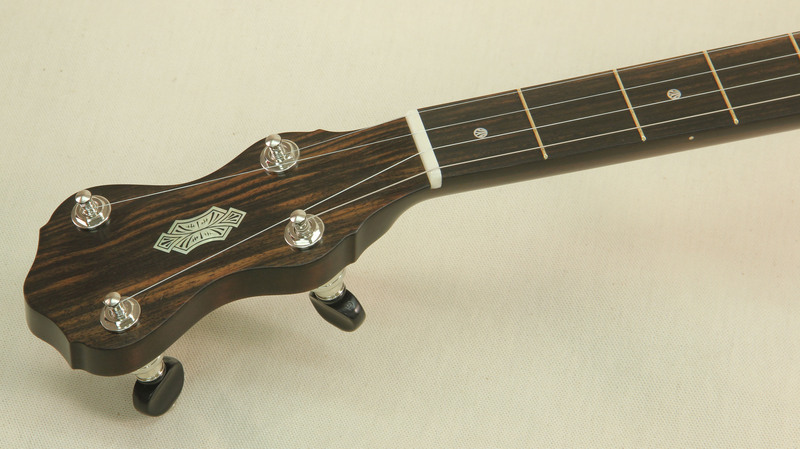 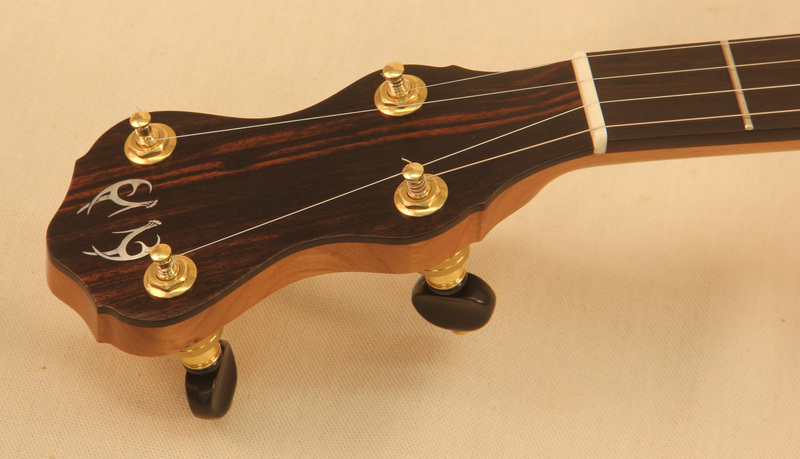 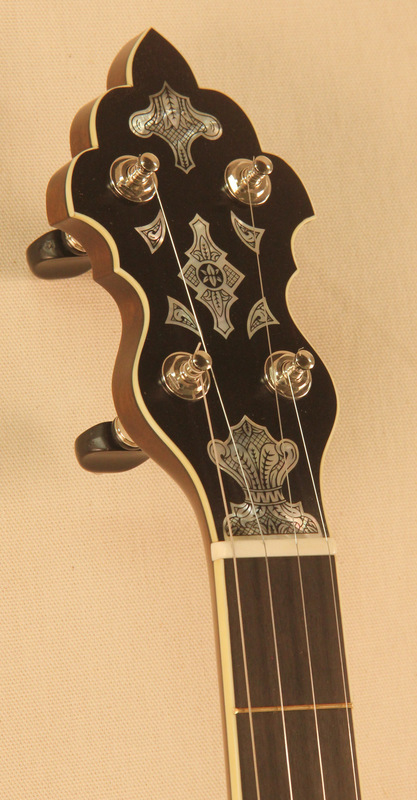 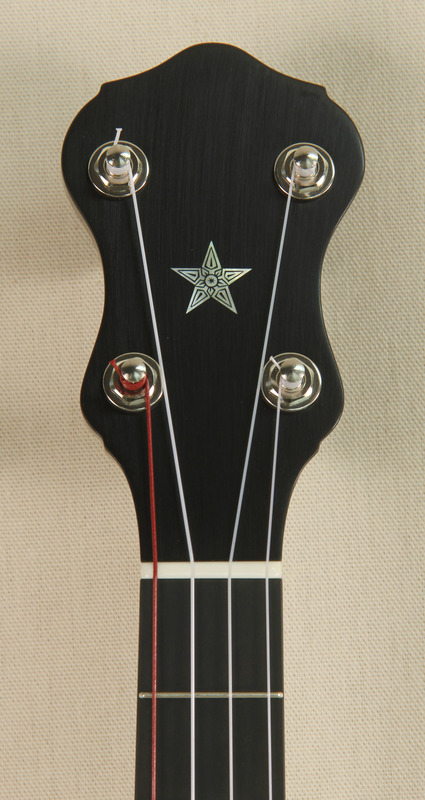 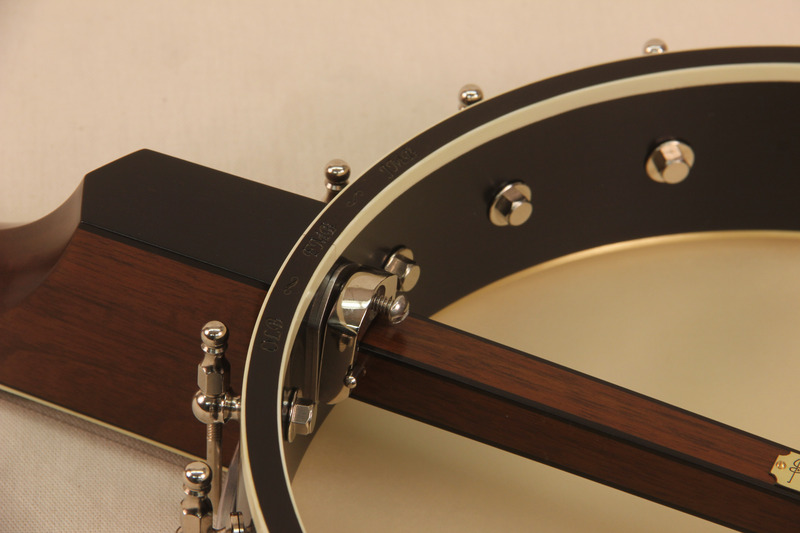 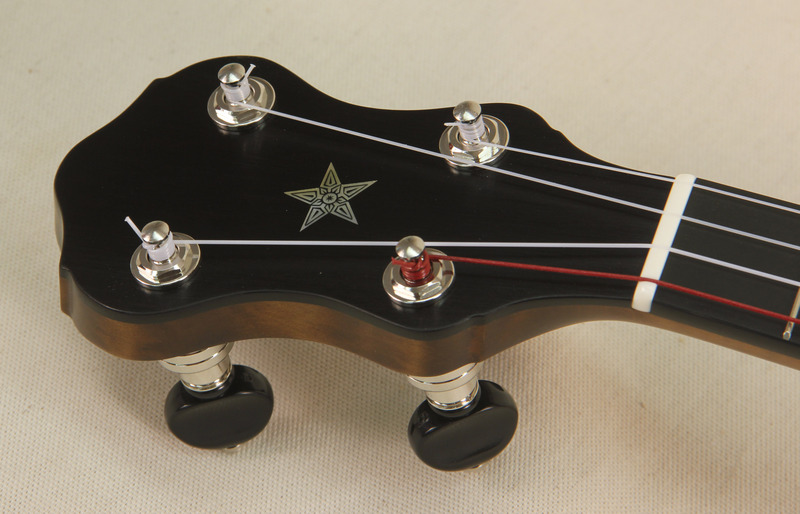 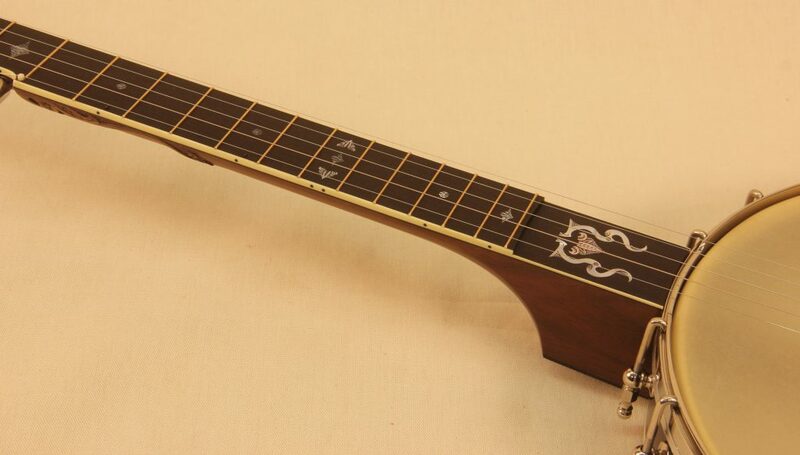 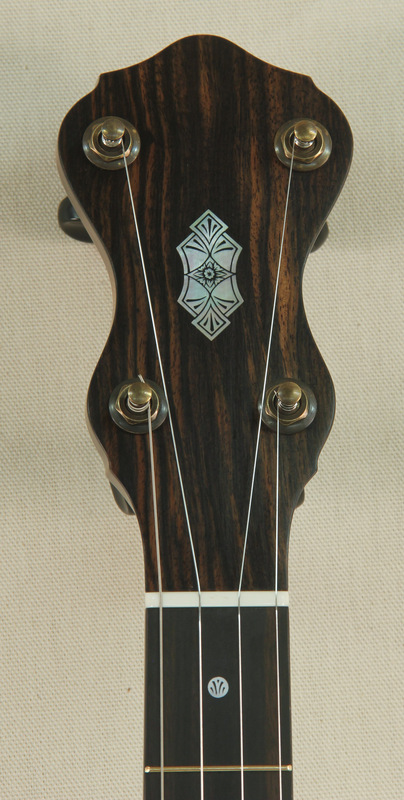 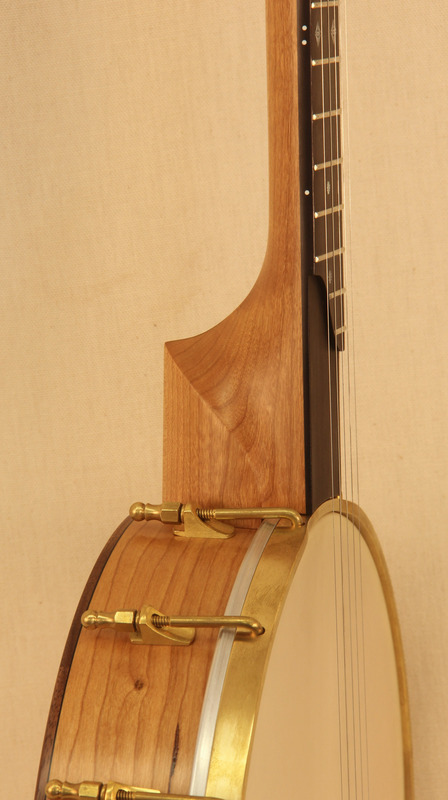 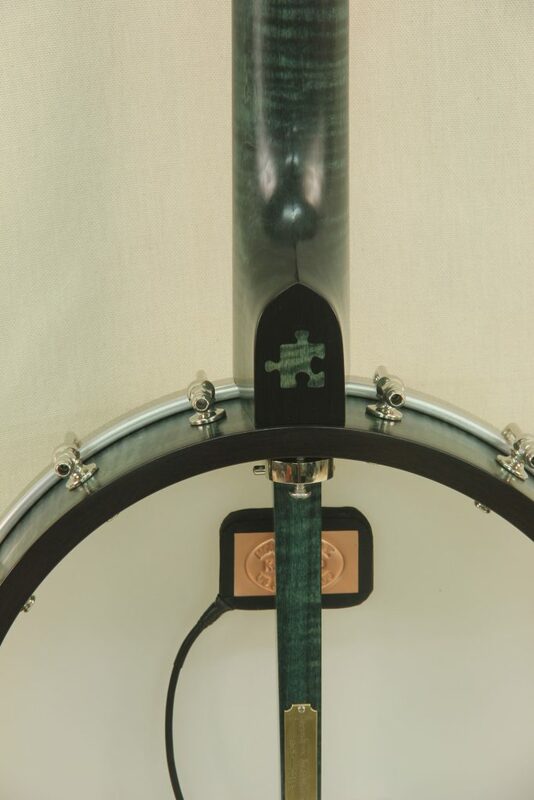 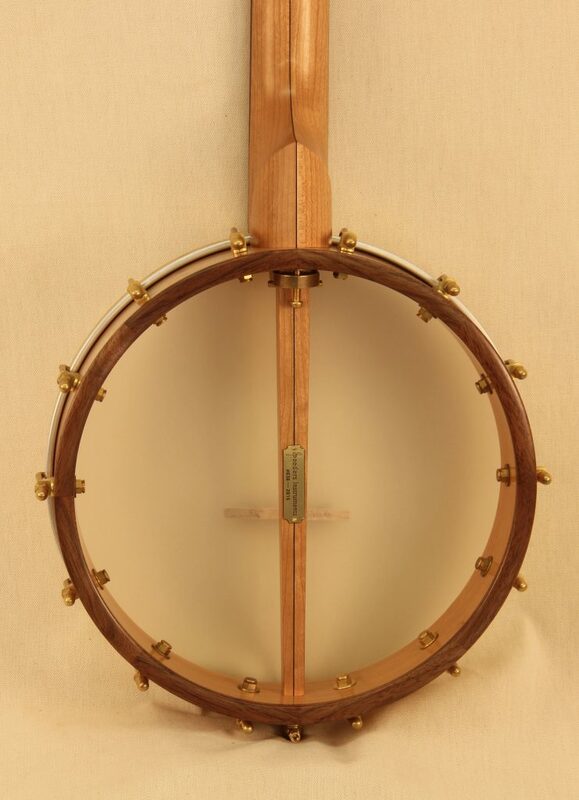 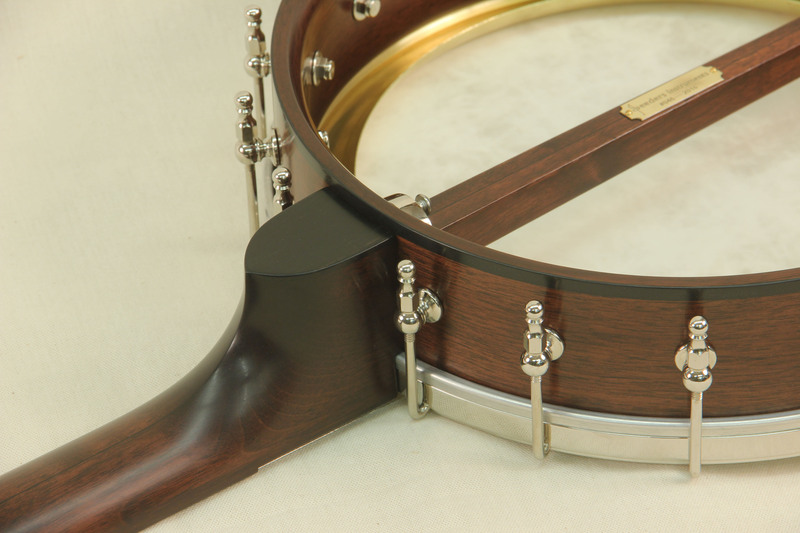 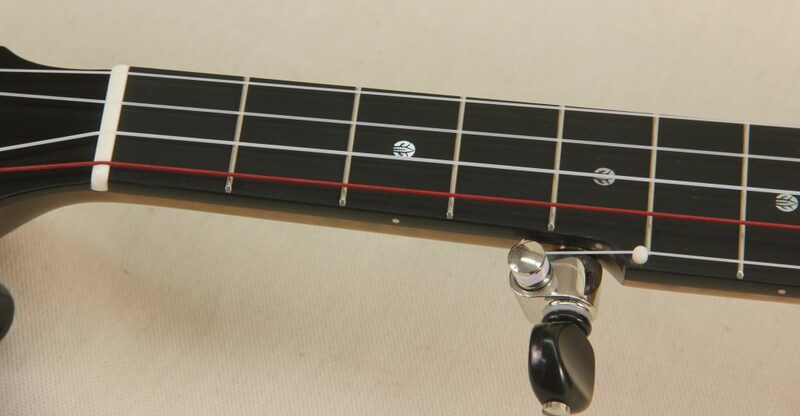 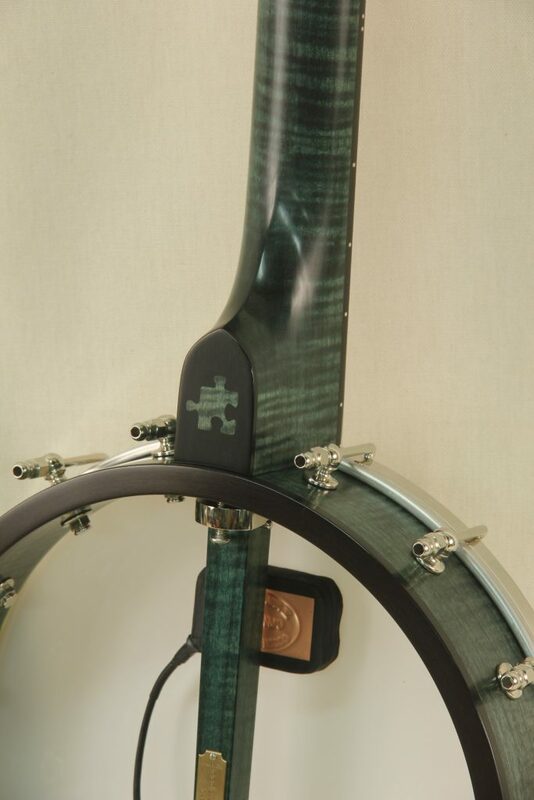 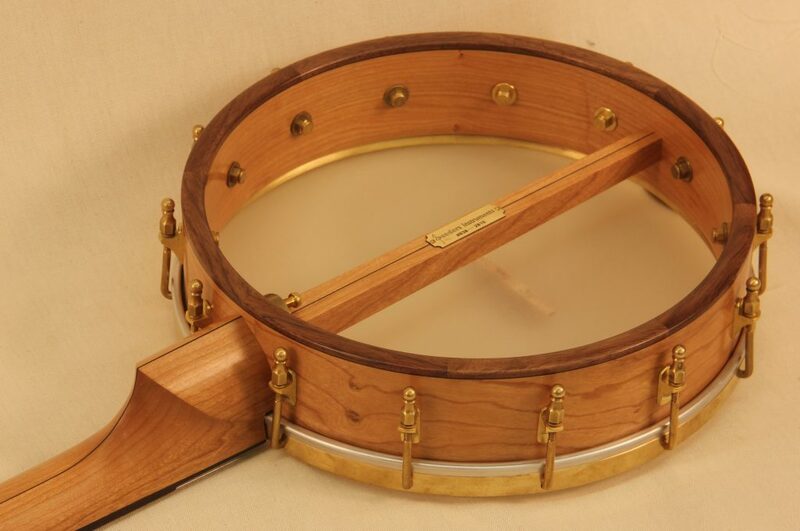 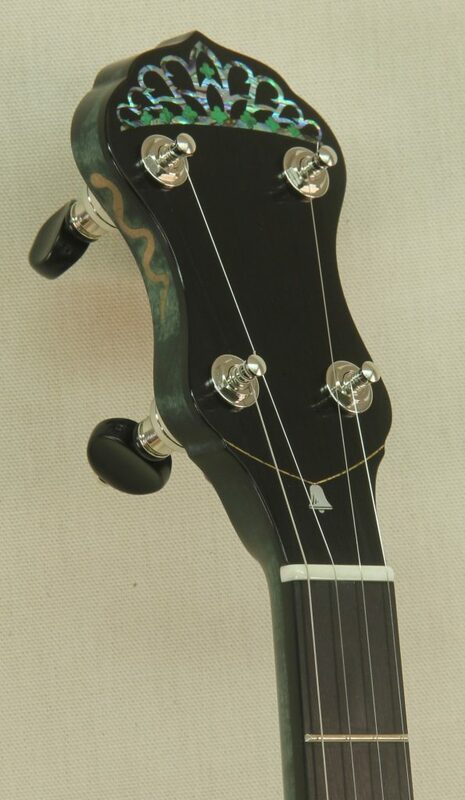 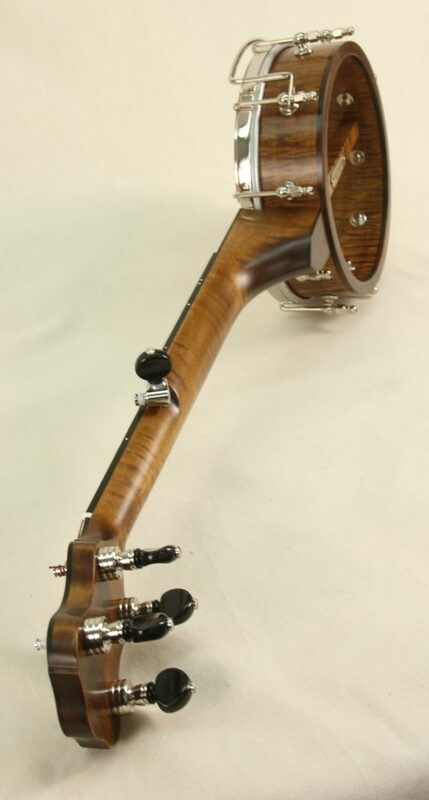 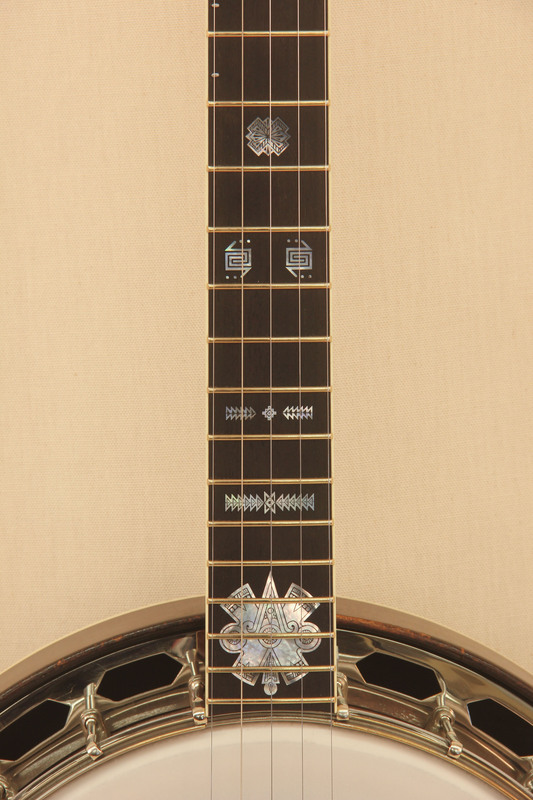 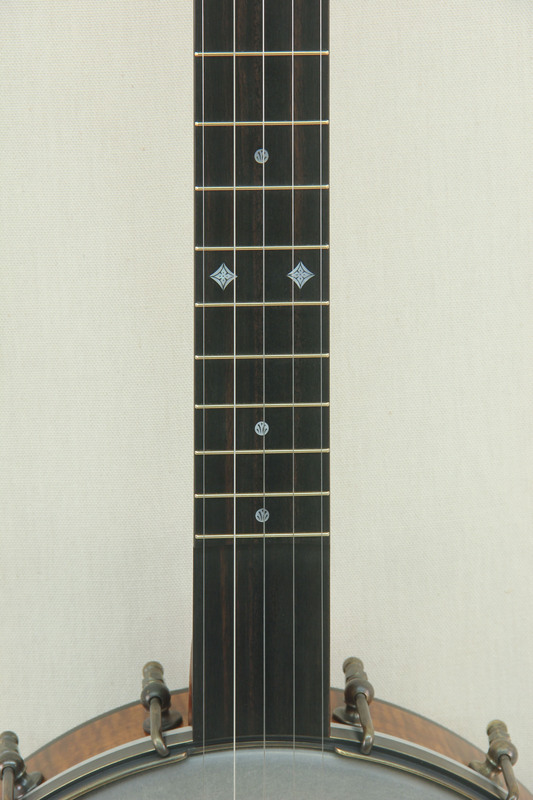 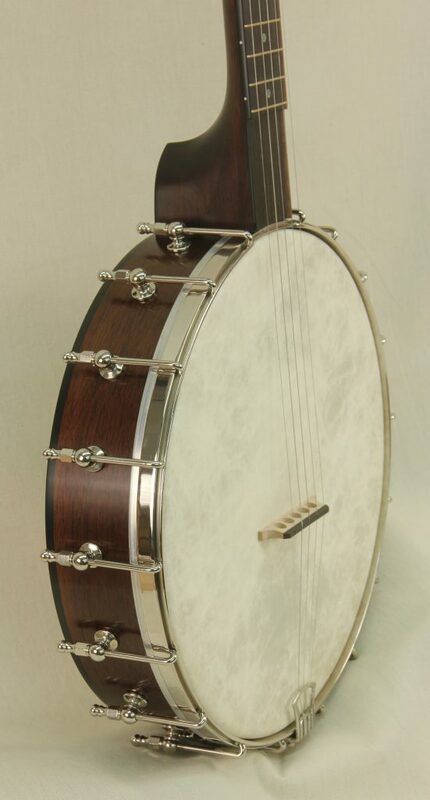 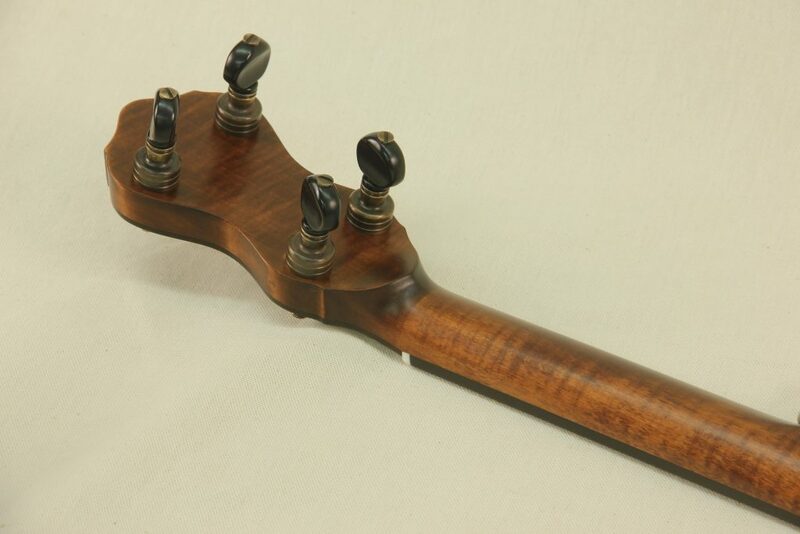 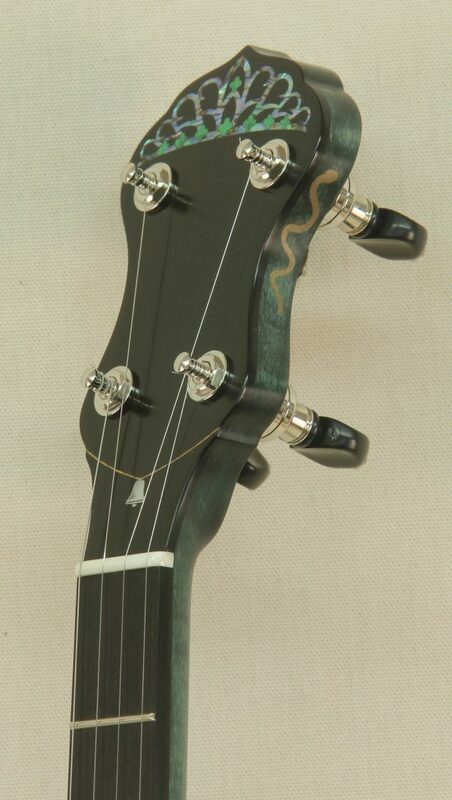 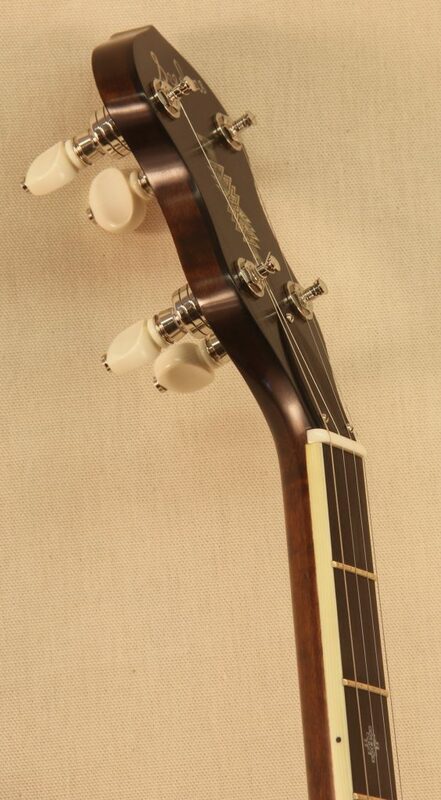 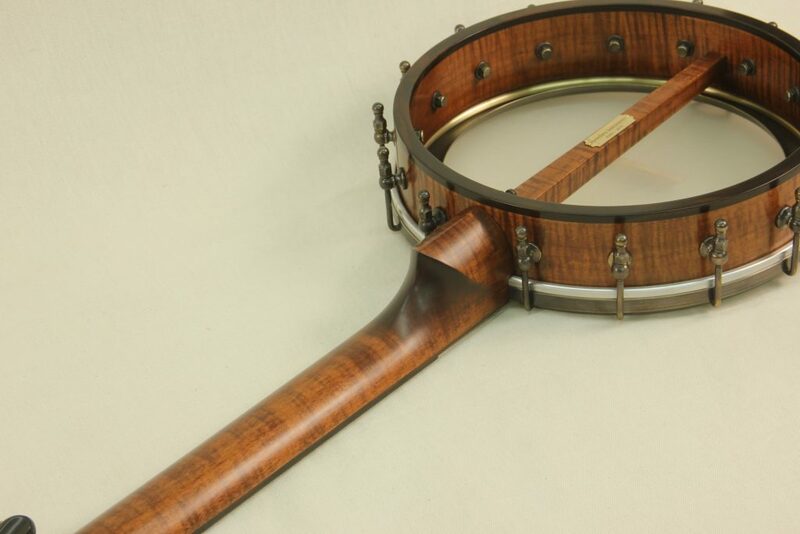 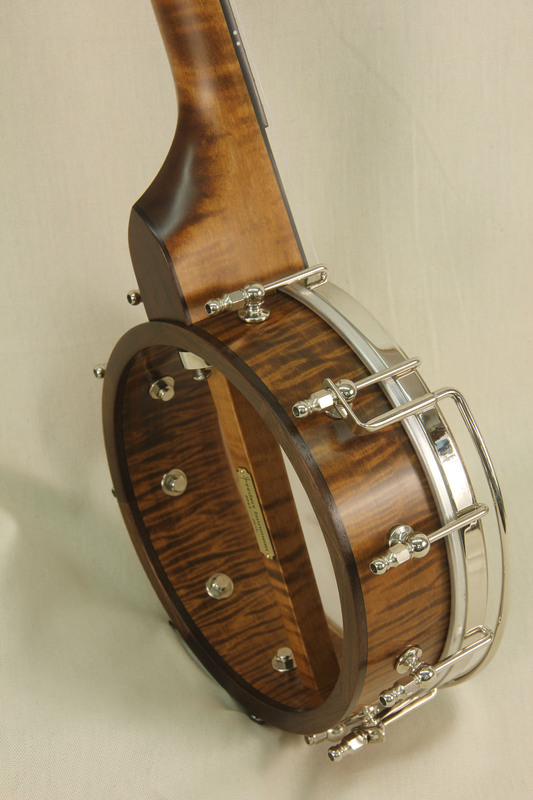 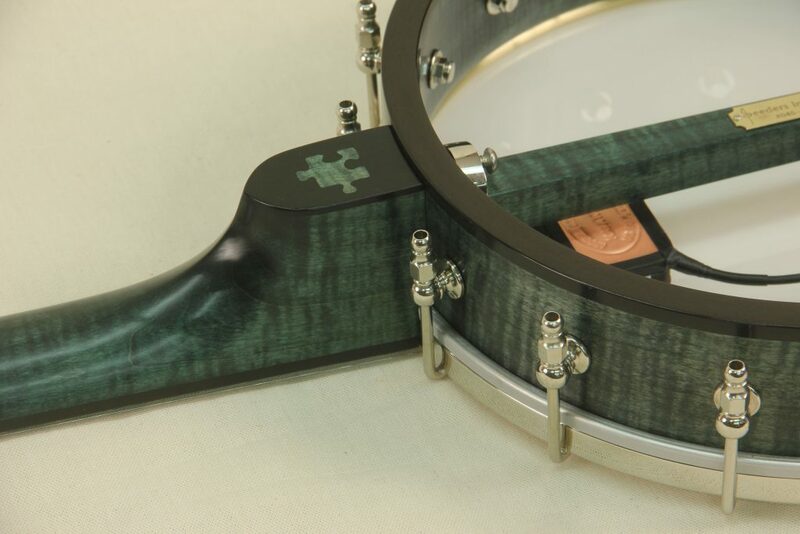 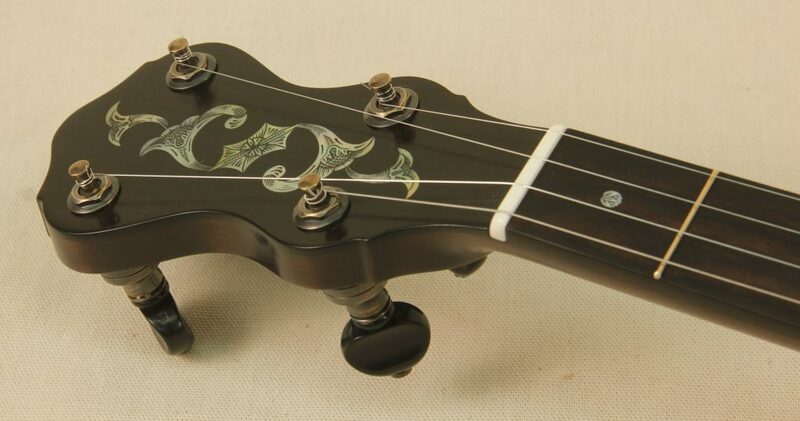 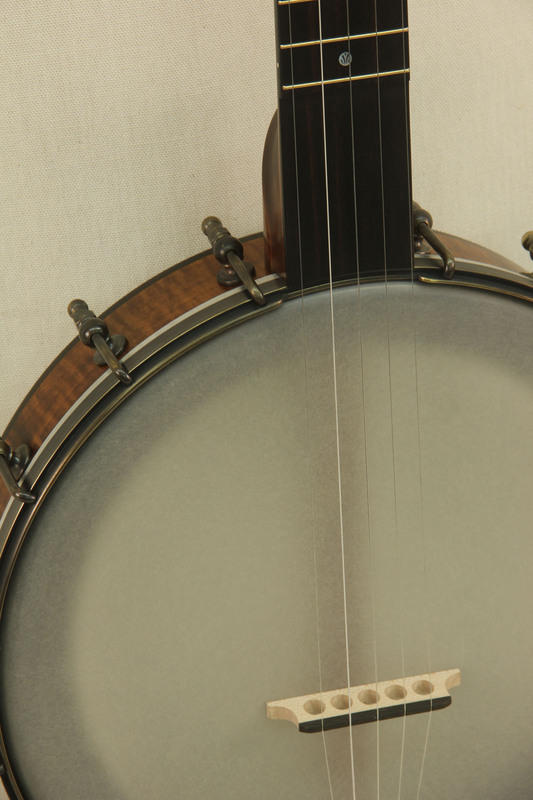 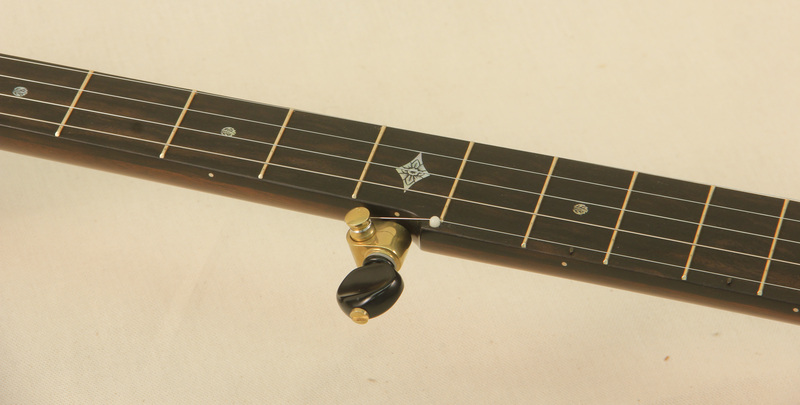 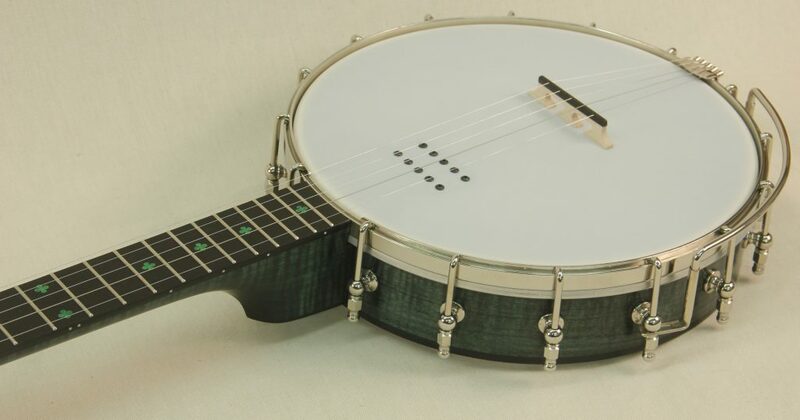 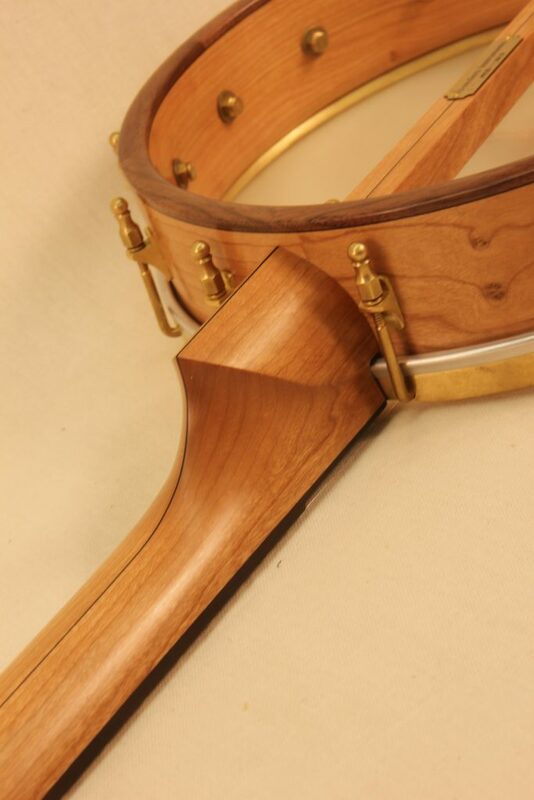 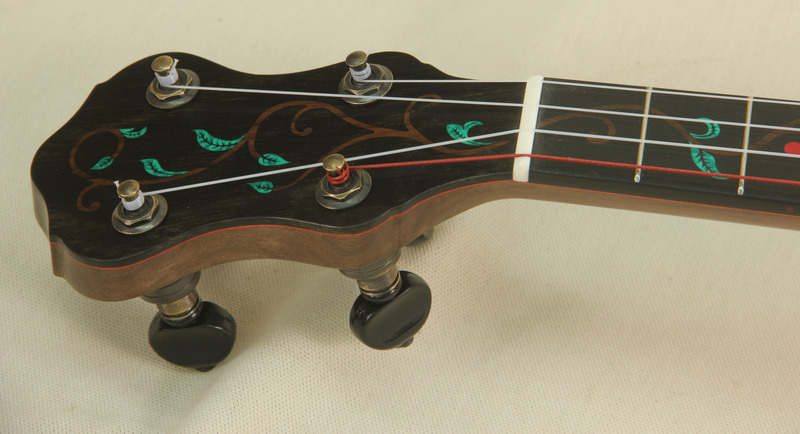 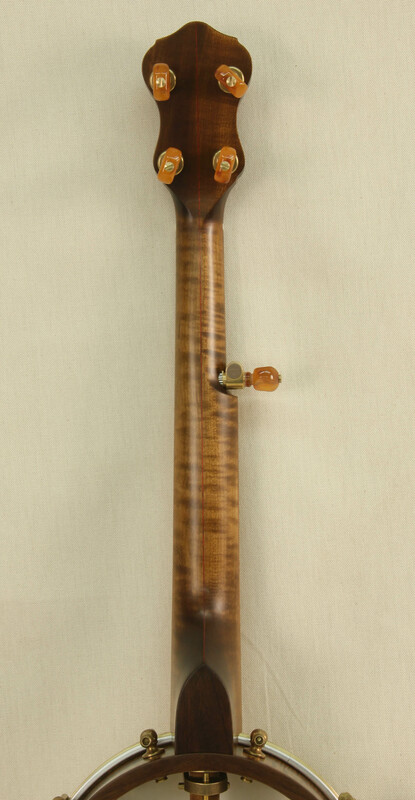 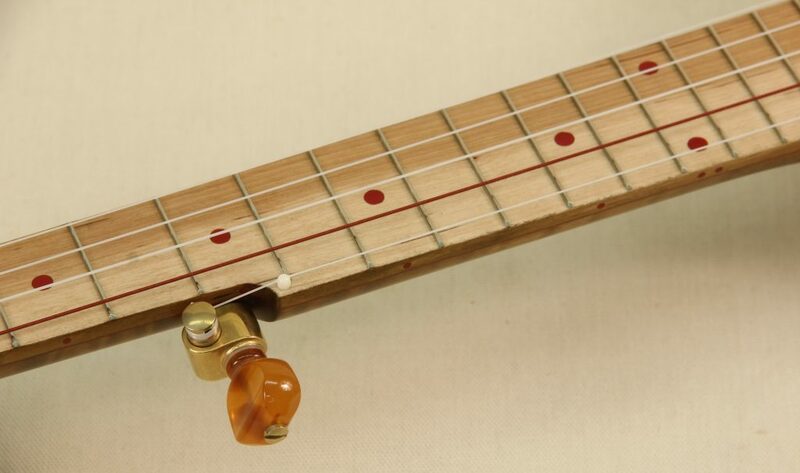 An elegant but simply adorned Curly Maple piccolo banjo. 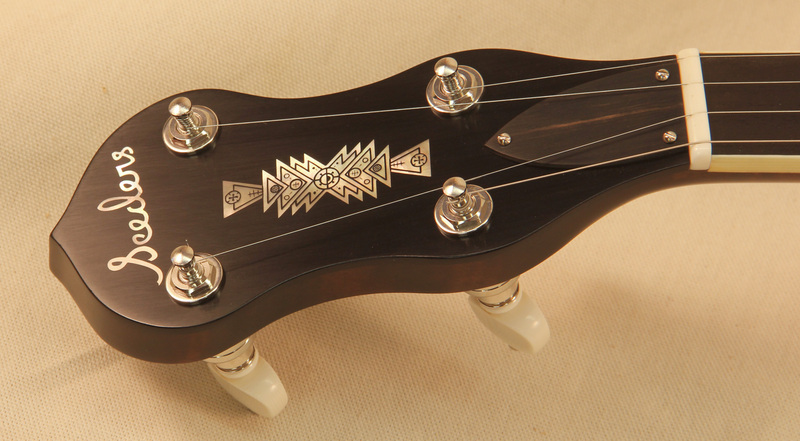 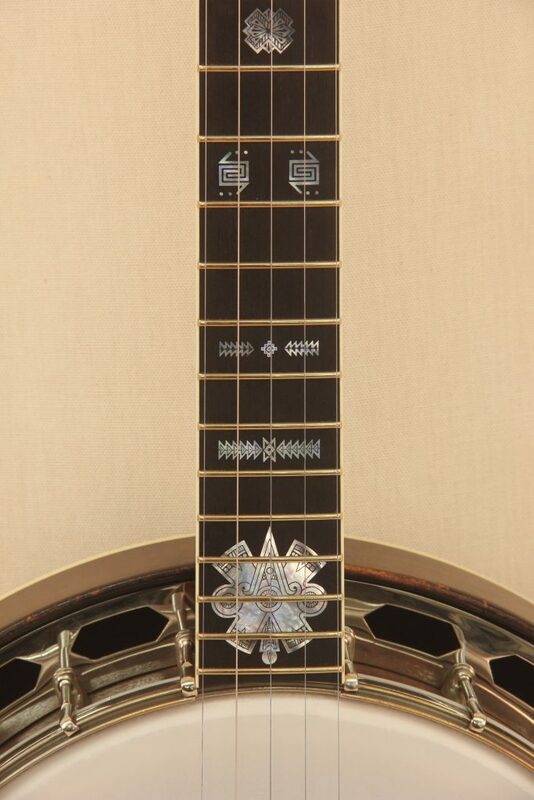 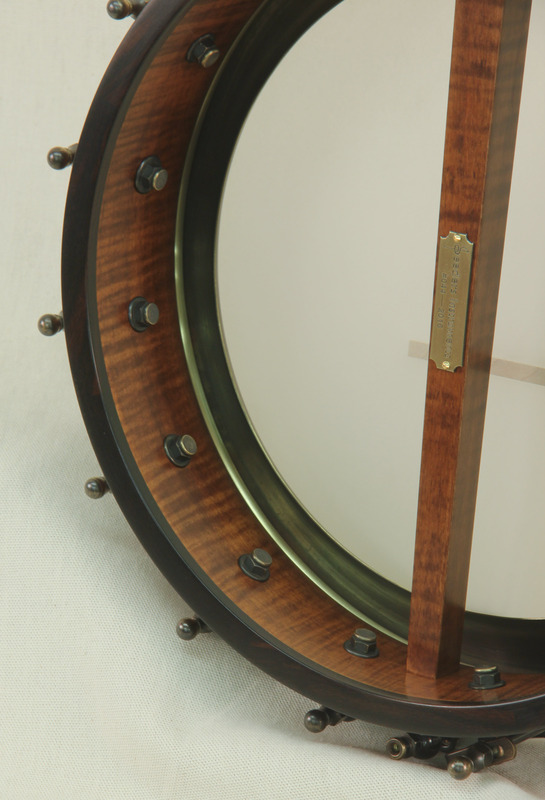 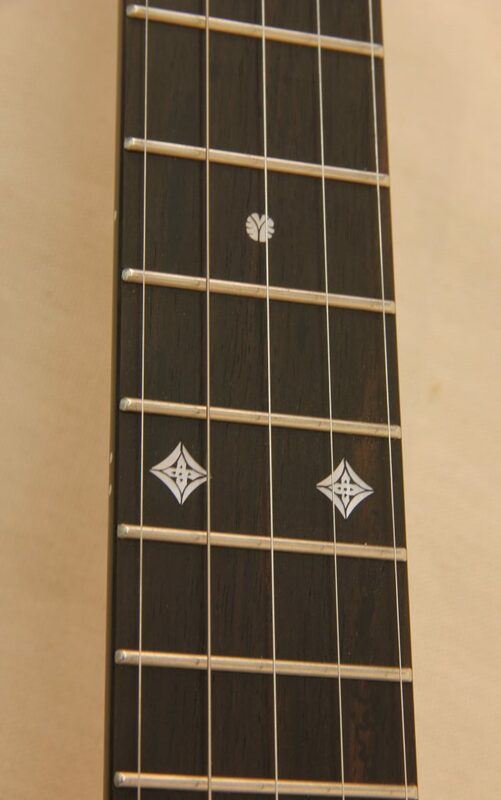 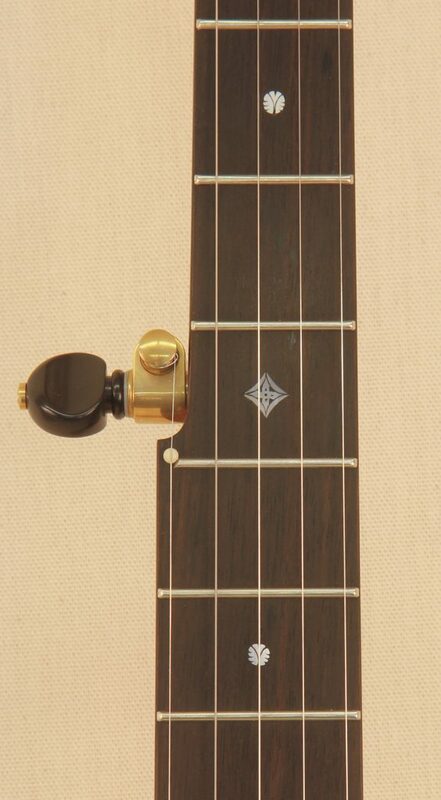 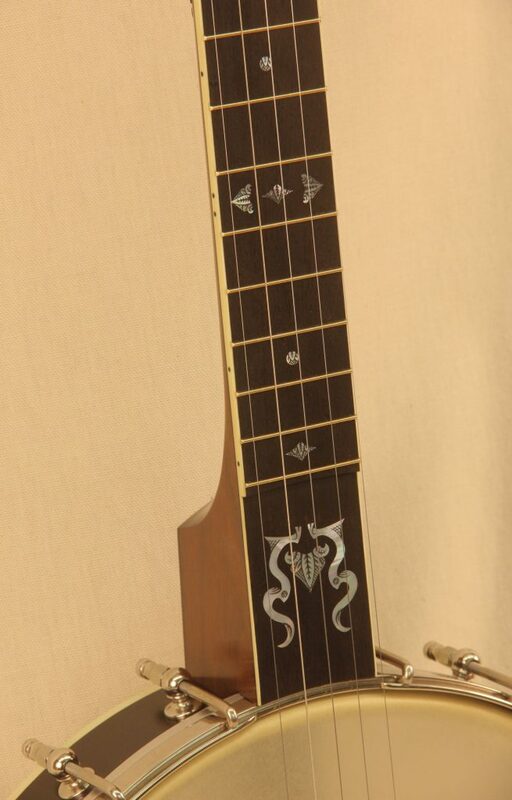 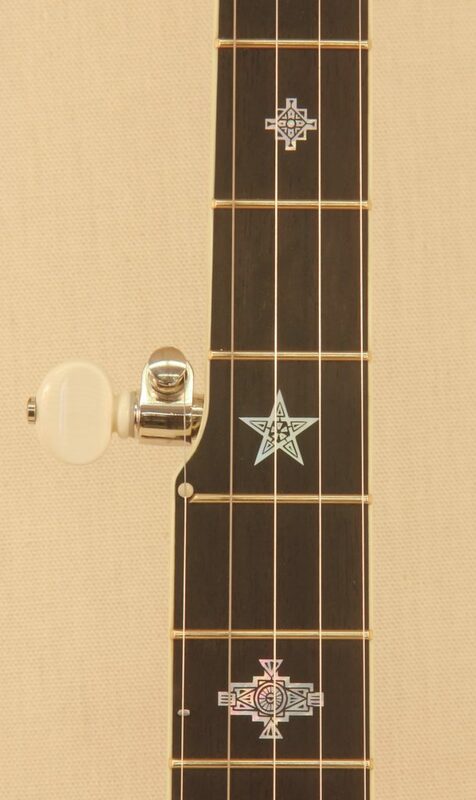 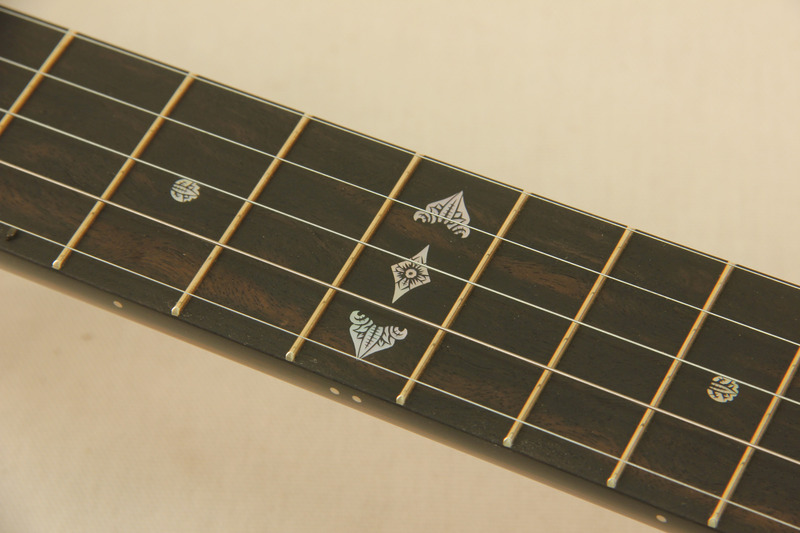 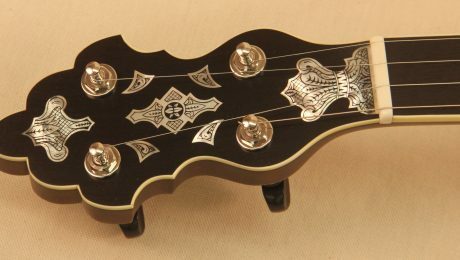 Stained with a golden brown finish with hand engraved Mother of Pearl inlays. 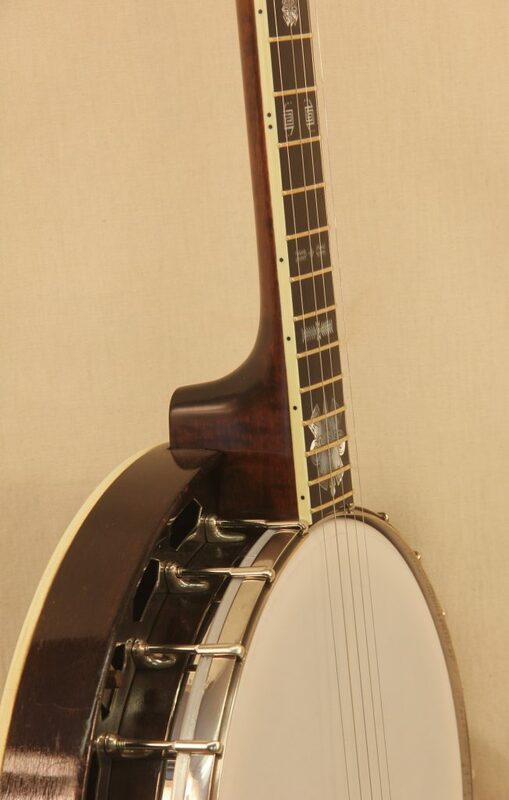 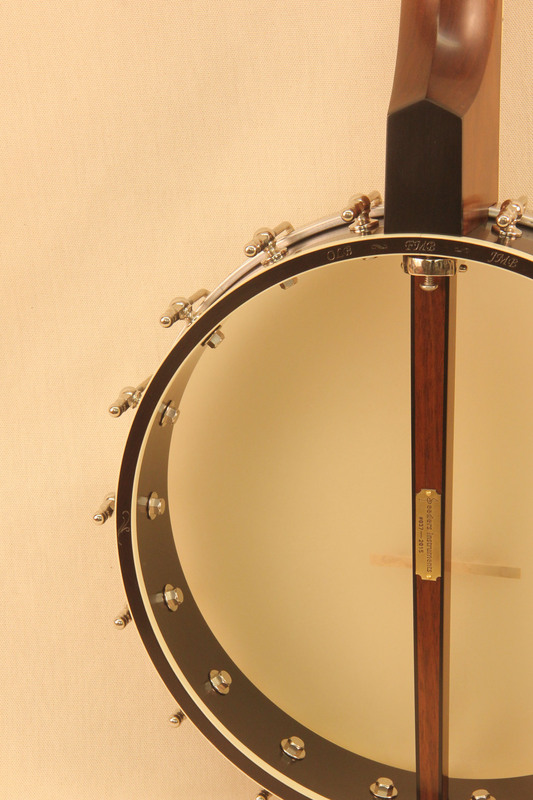 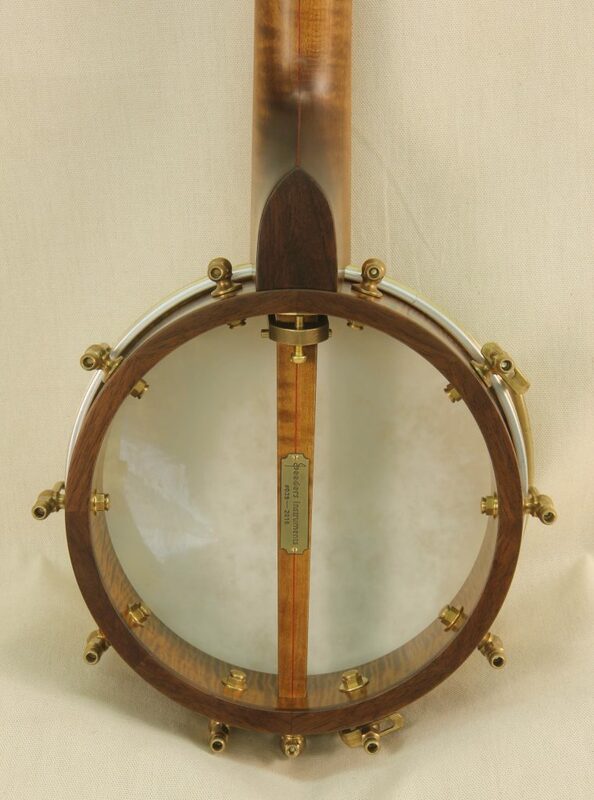 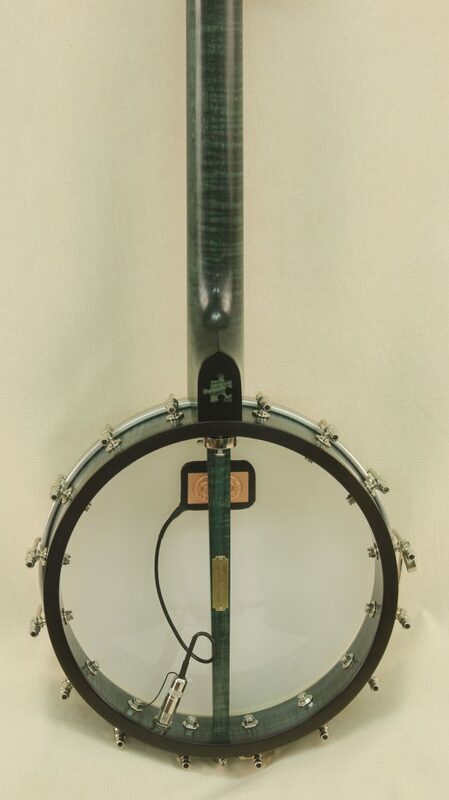 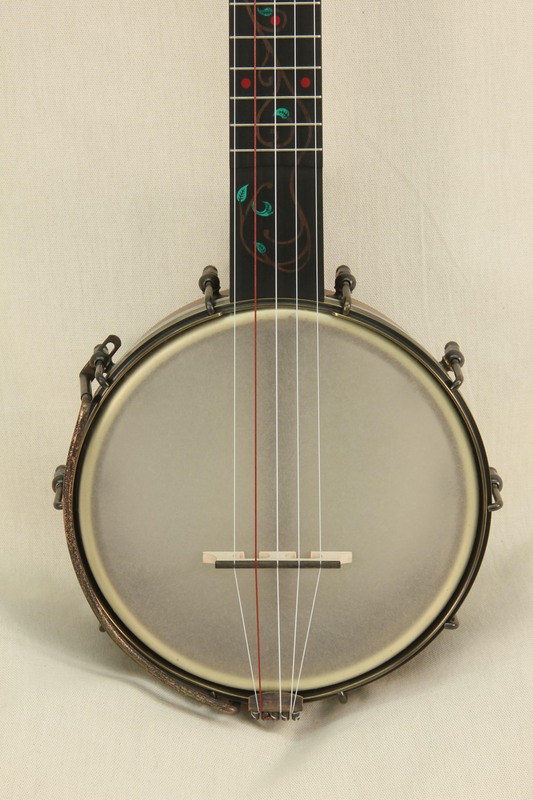 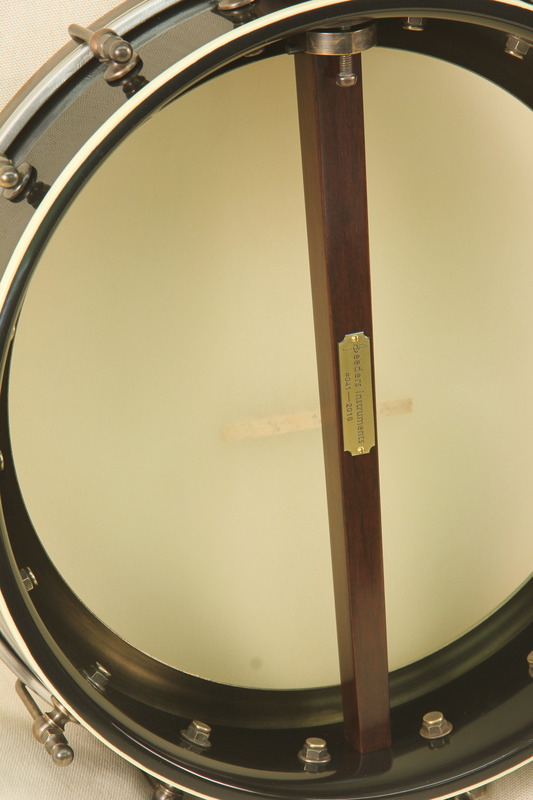 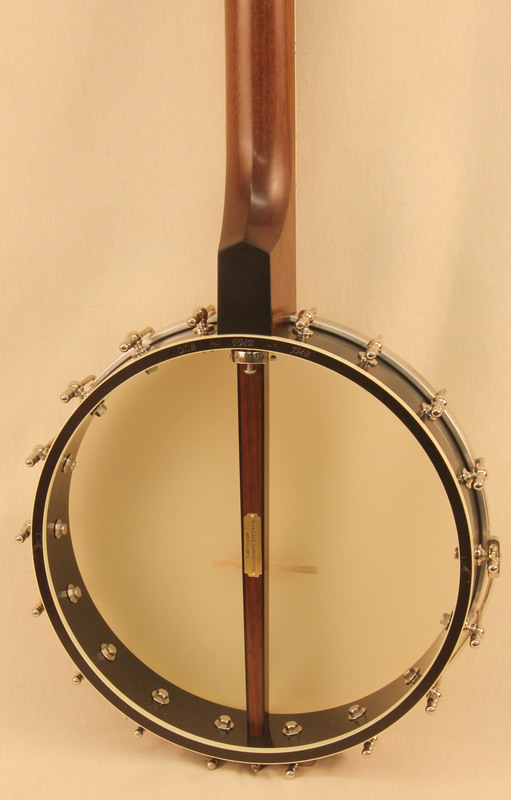 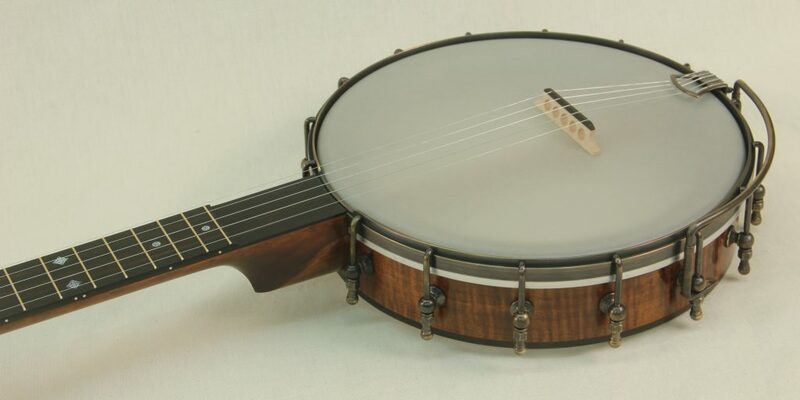 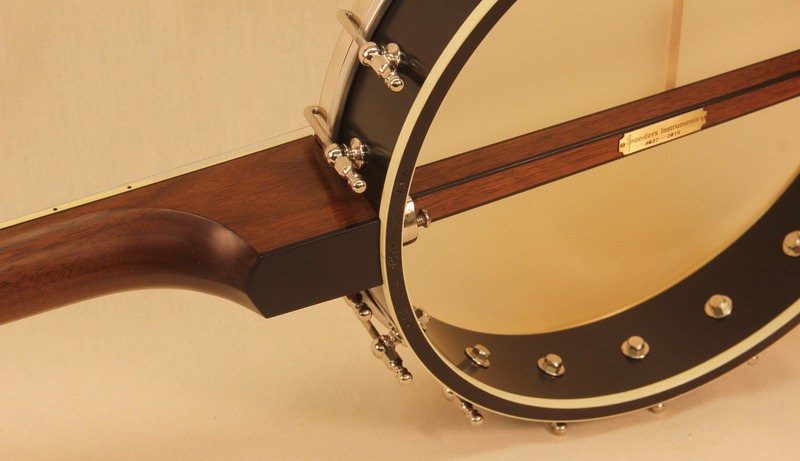 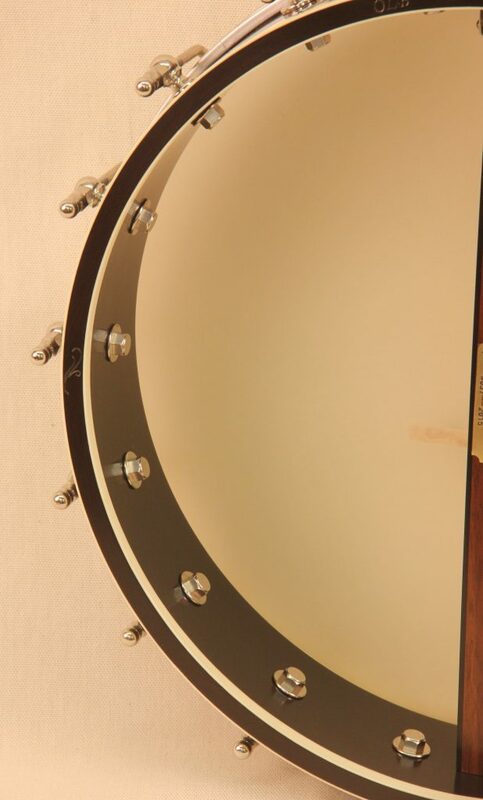 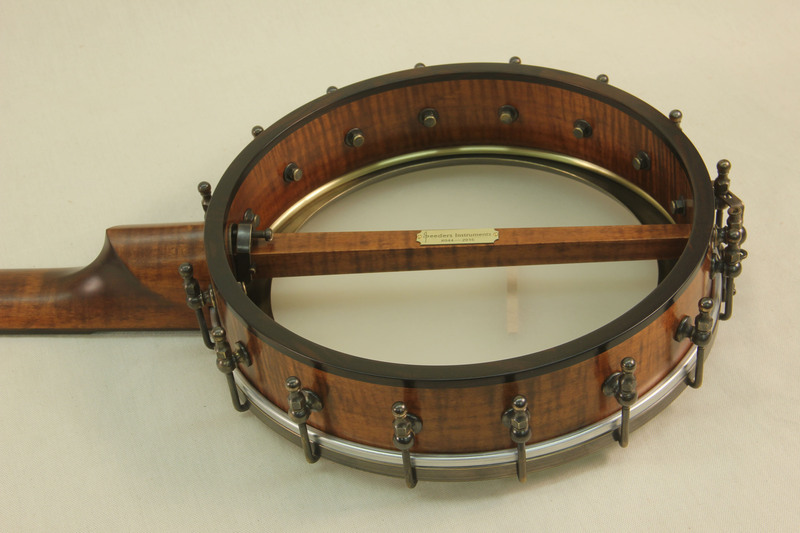 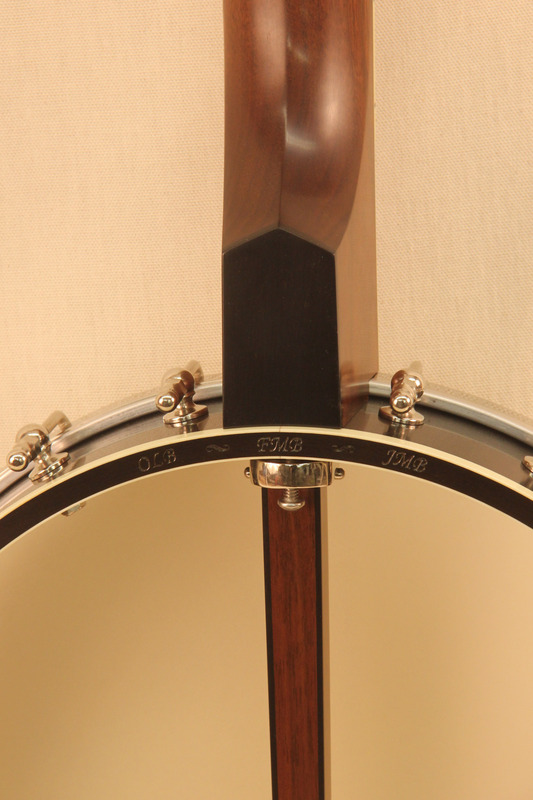 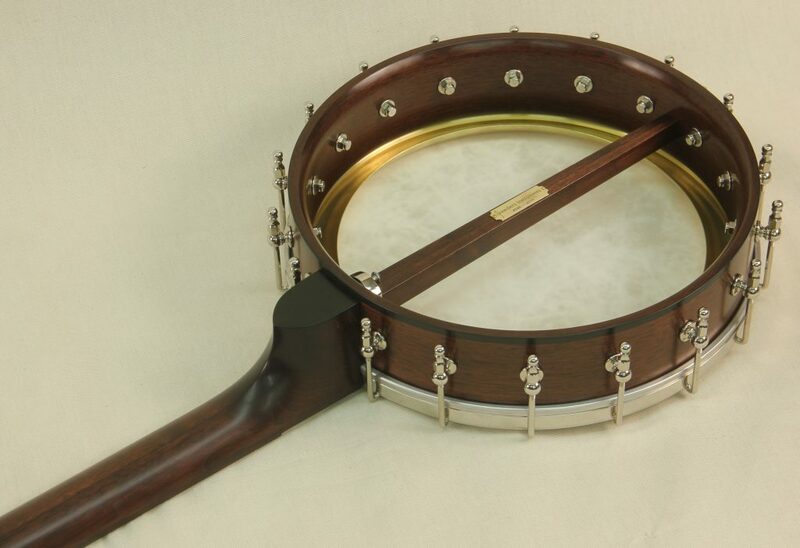 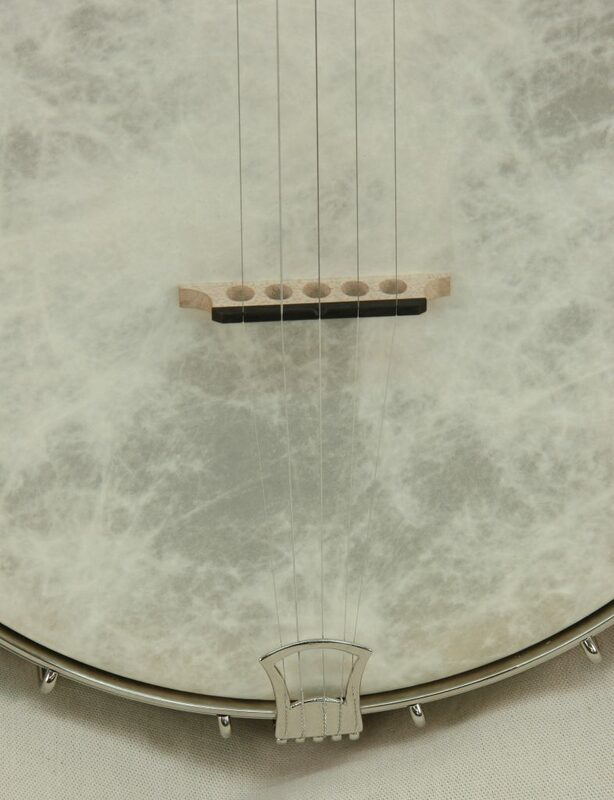 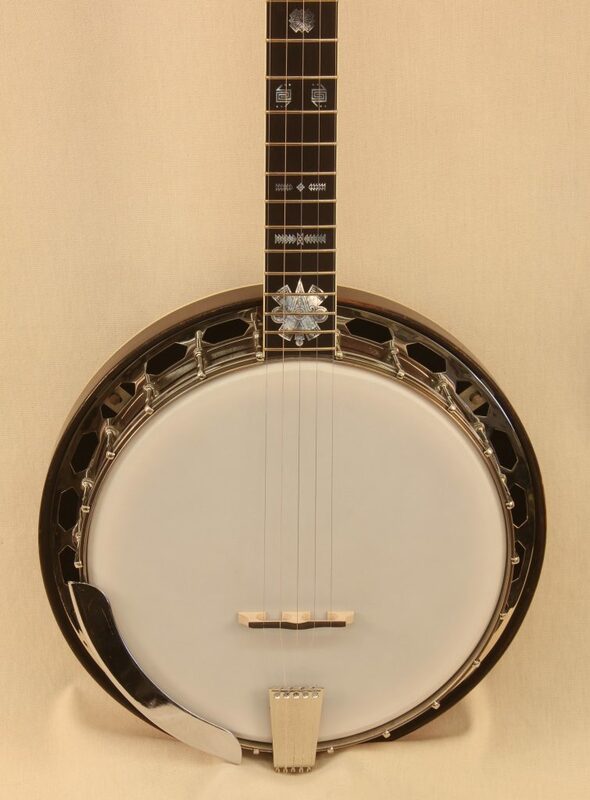 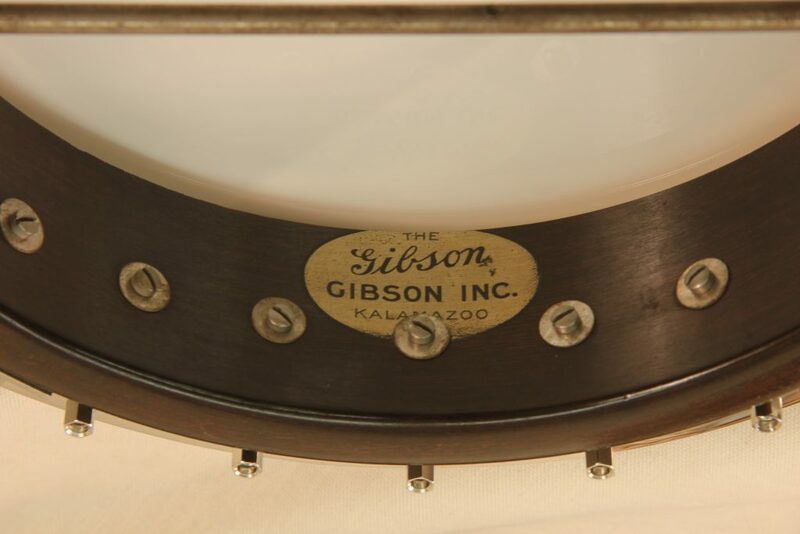 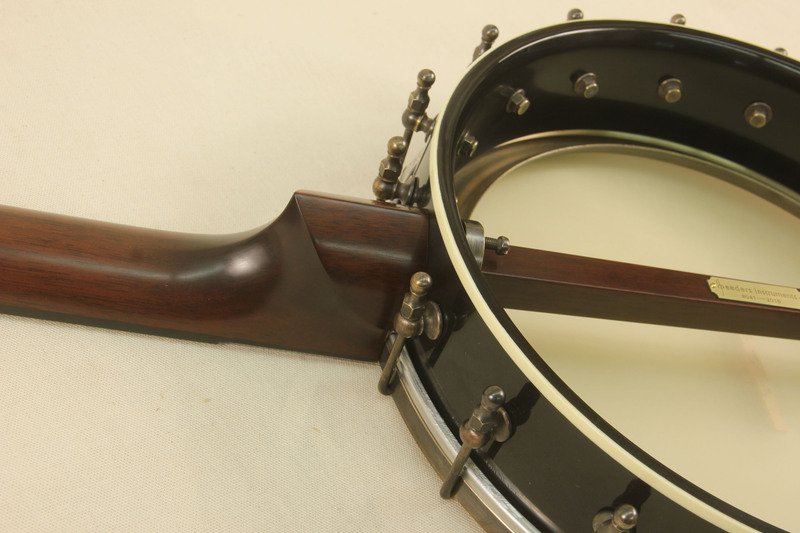 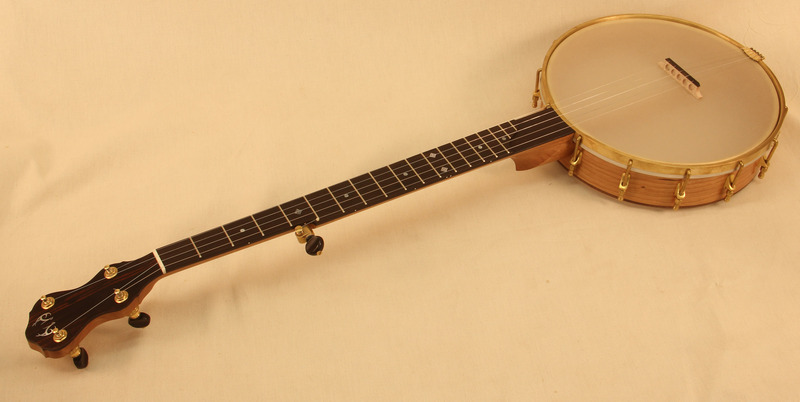 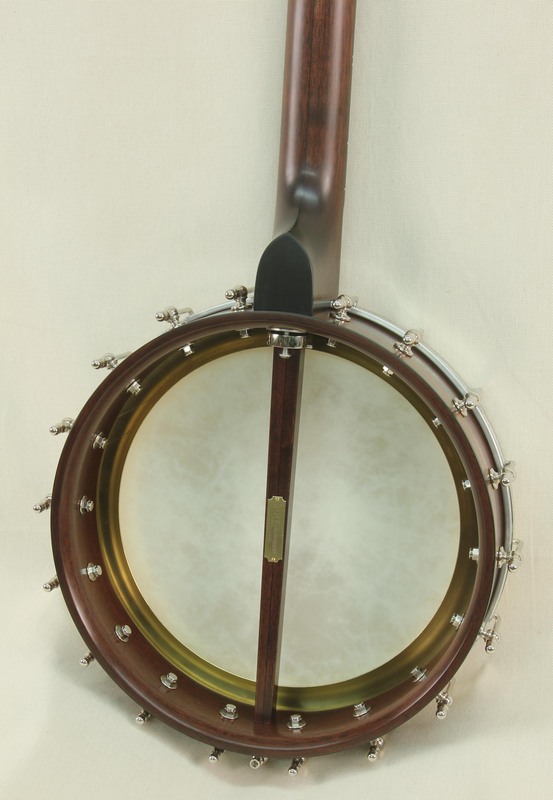 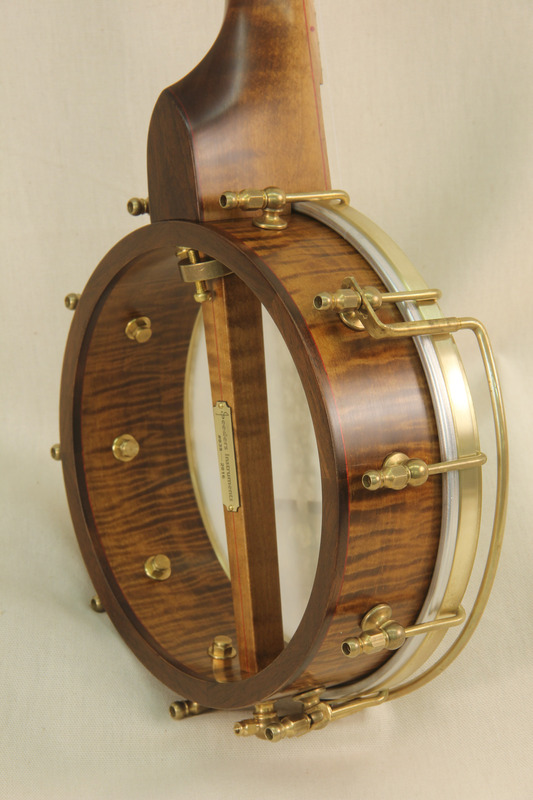 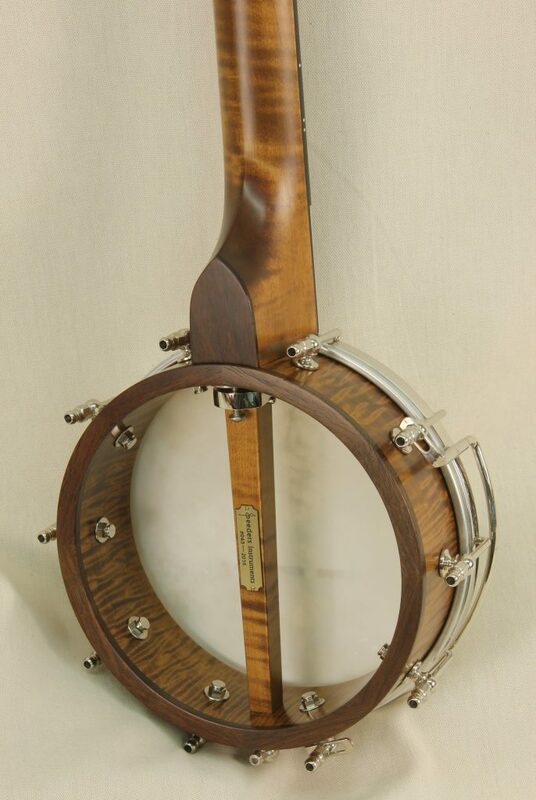 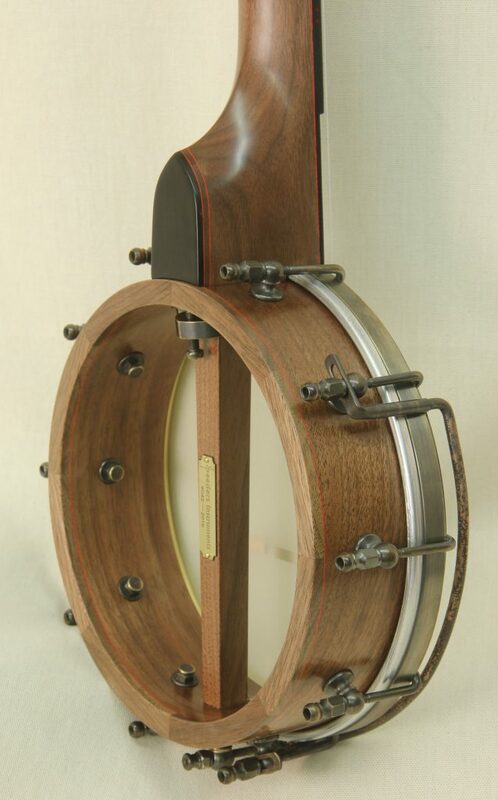 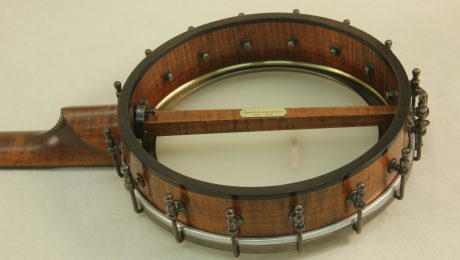 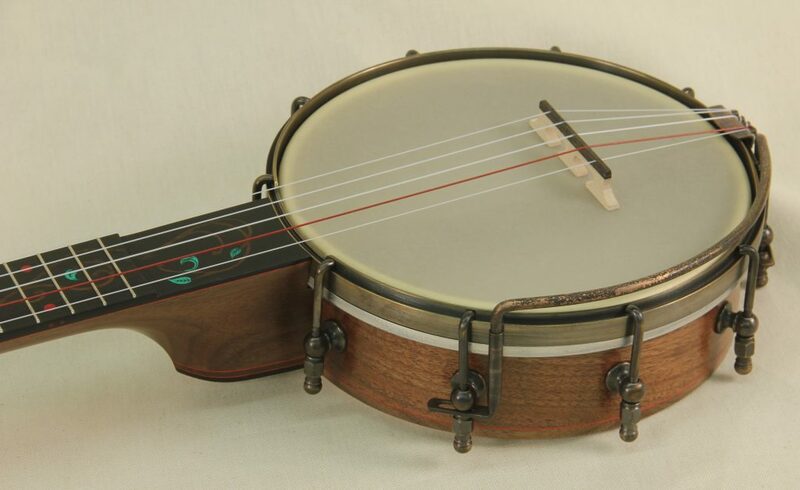 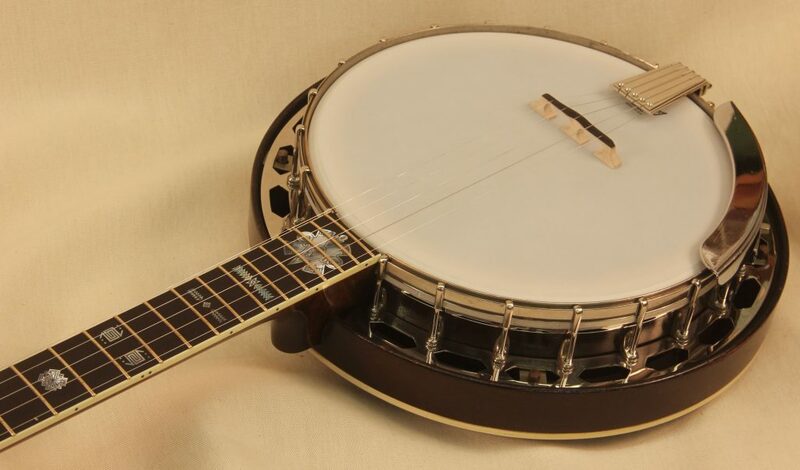 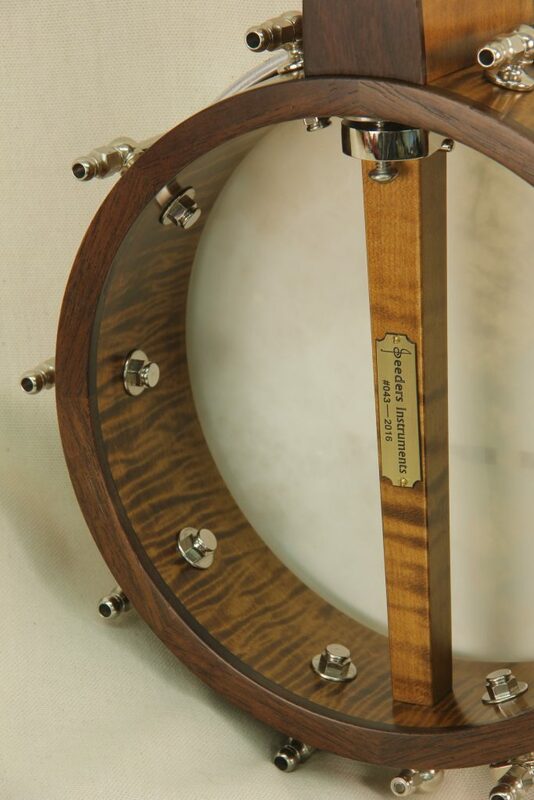 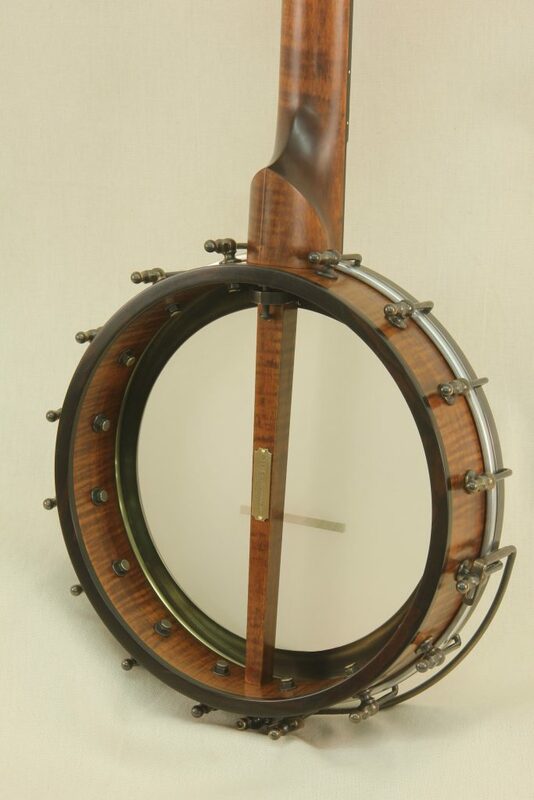 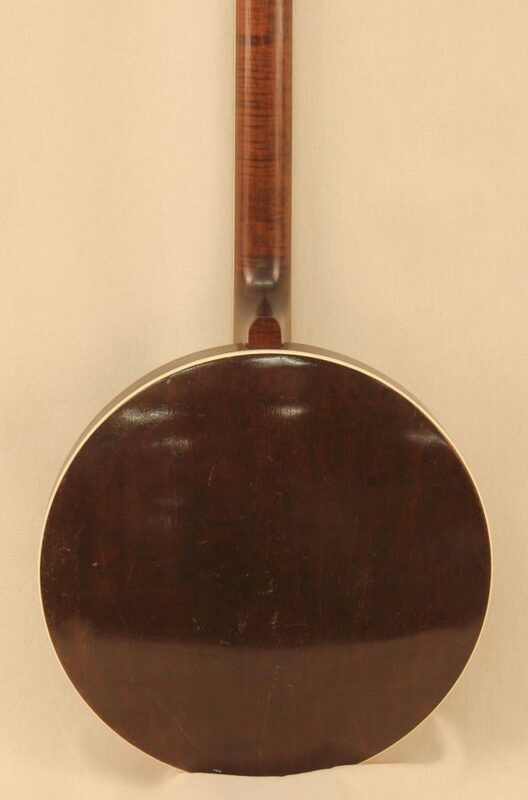 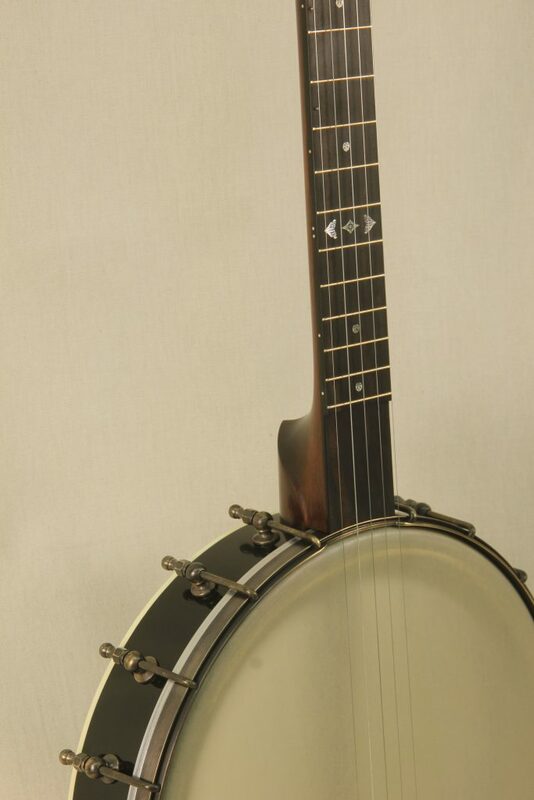 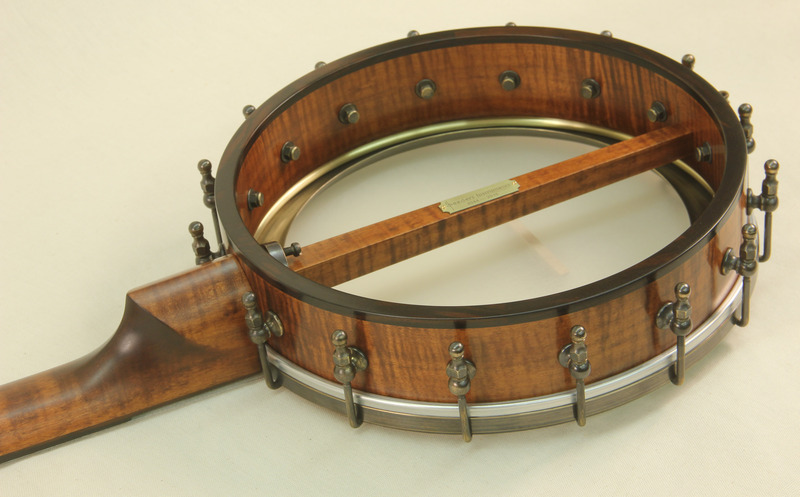 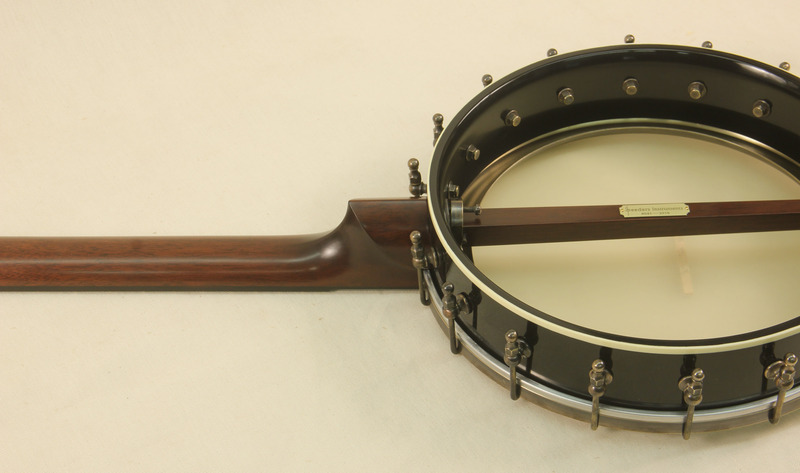 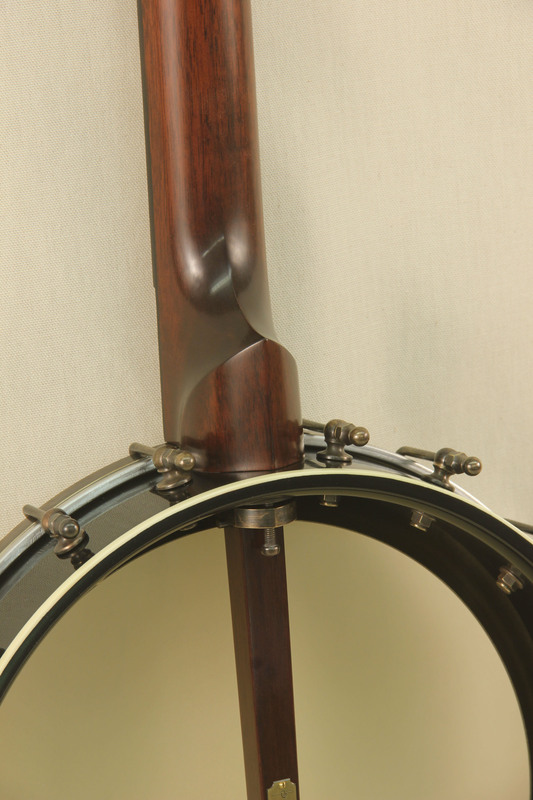 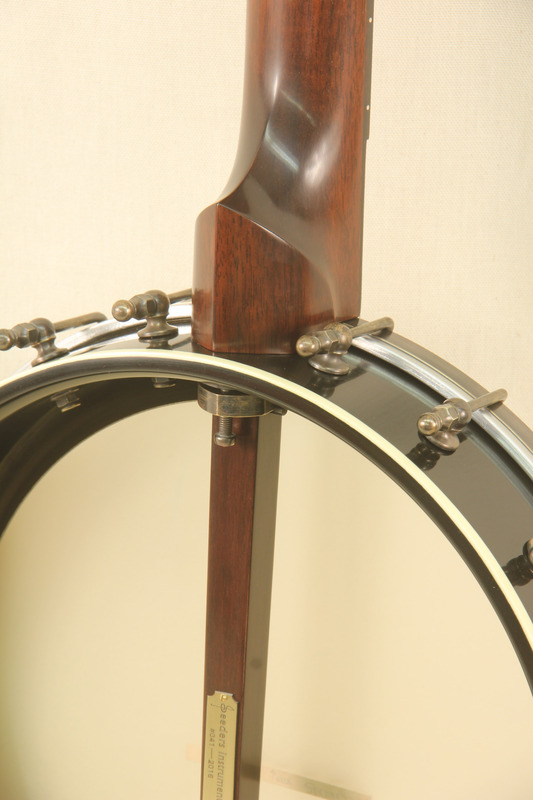 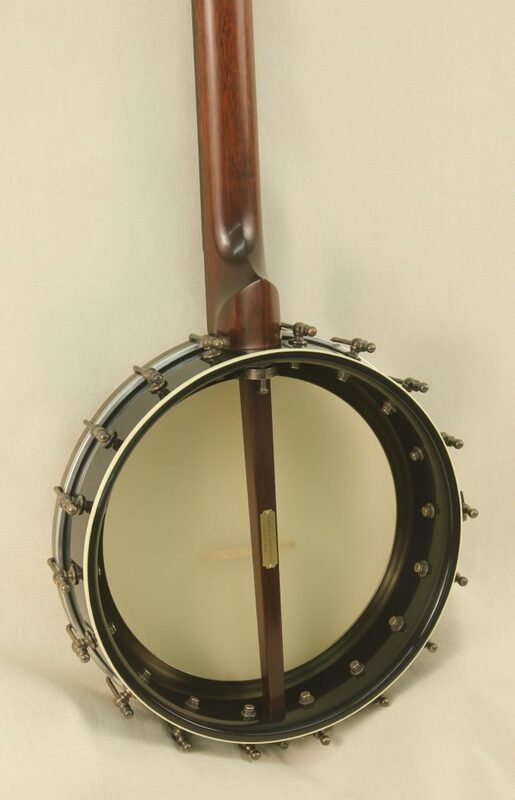 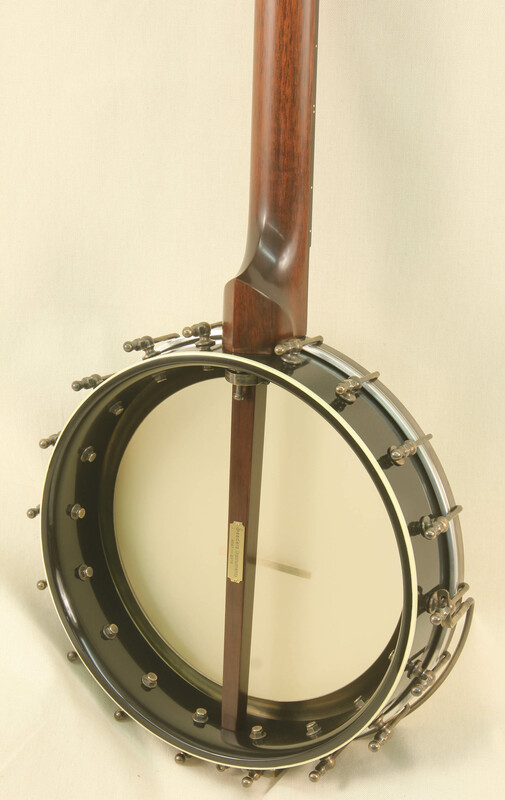 This banjo started its life as a 1926 Gibson TB-1 tenor banjo. 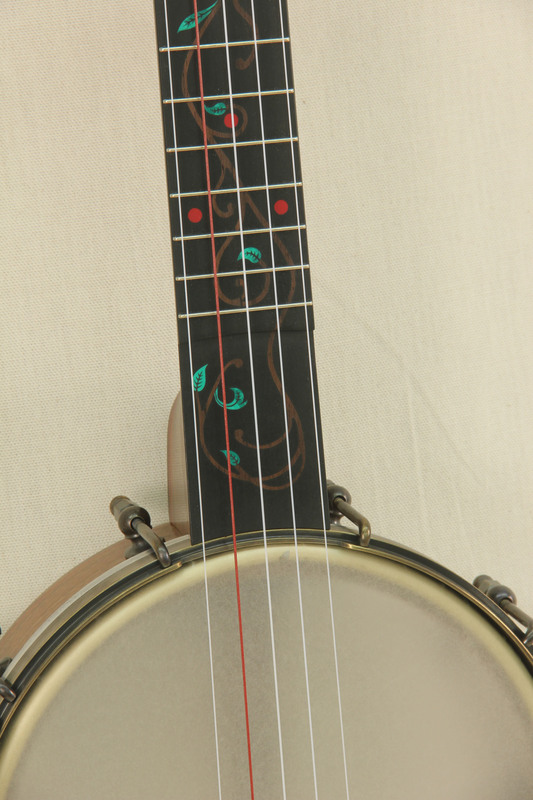 I converted it to a TB-2 Style Pyramid Tone Ring banjo with a very unique custom inlay theme. The Pyramid Tone Ring is a reproduction ring made by Arnold Clayton fitted to the original rim. 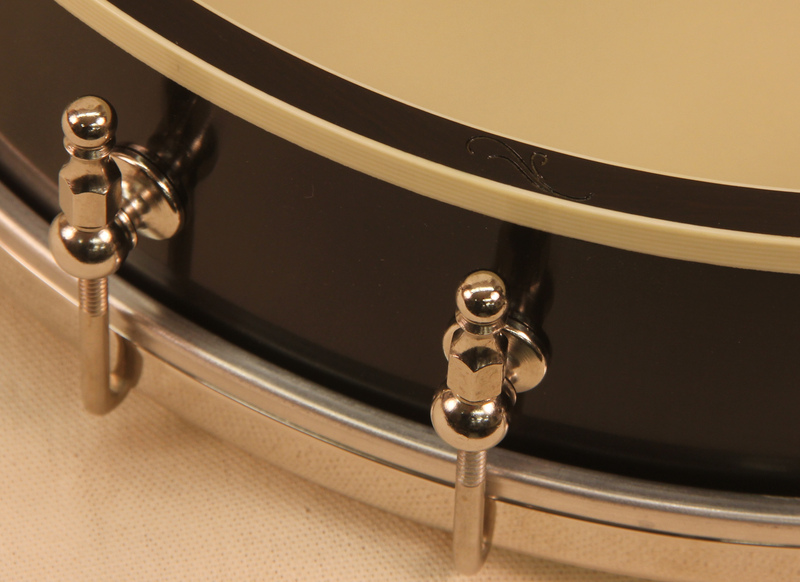 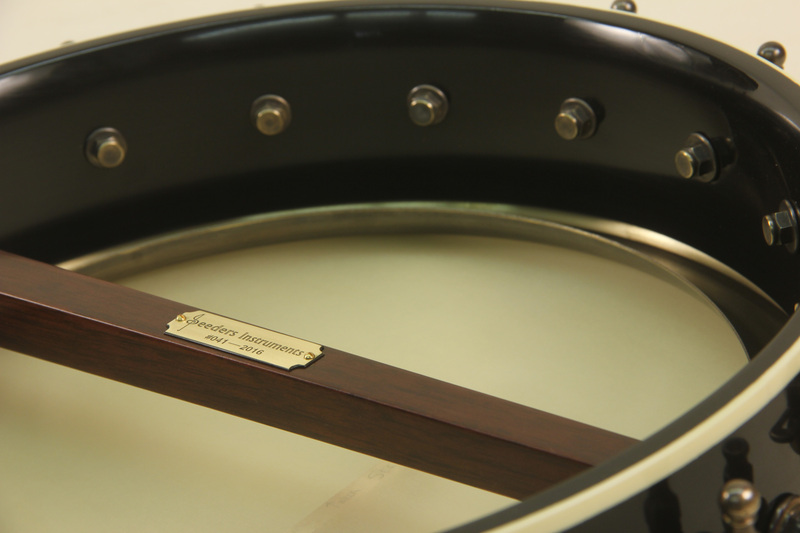 The flange has been upgraded from the TB-1 Diamond Flange to an original TB-2 hex flange. 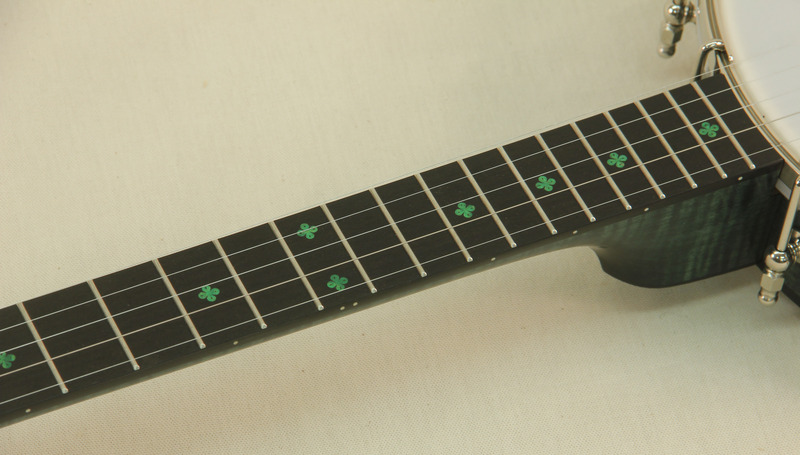 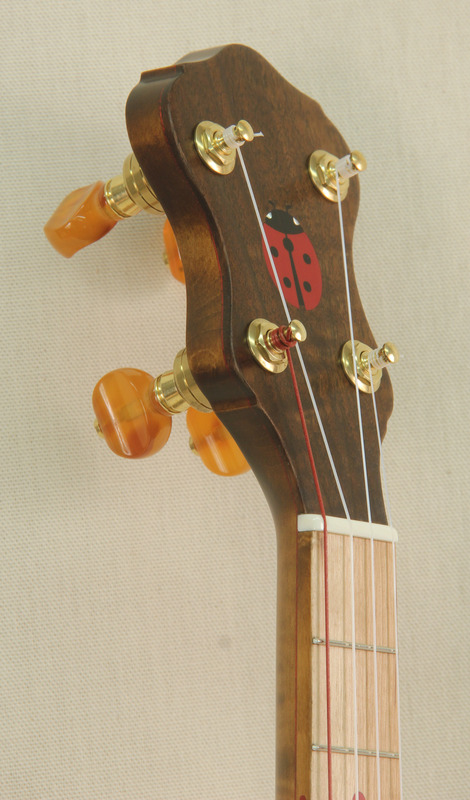 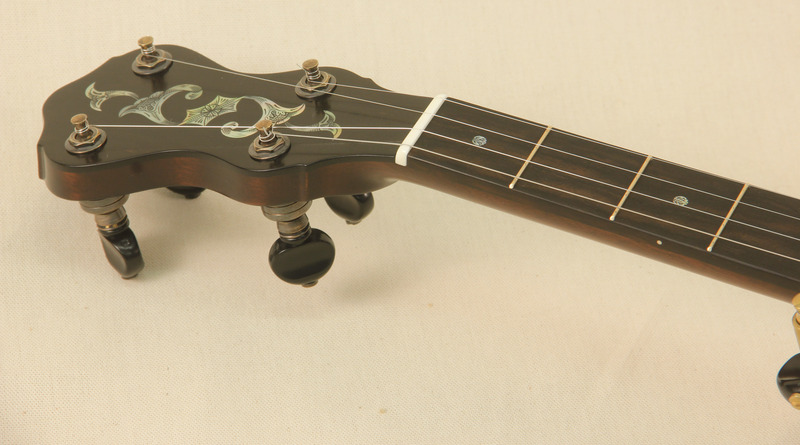 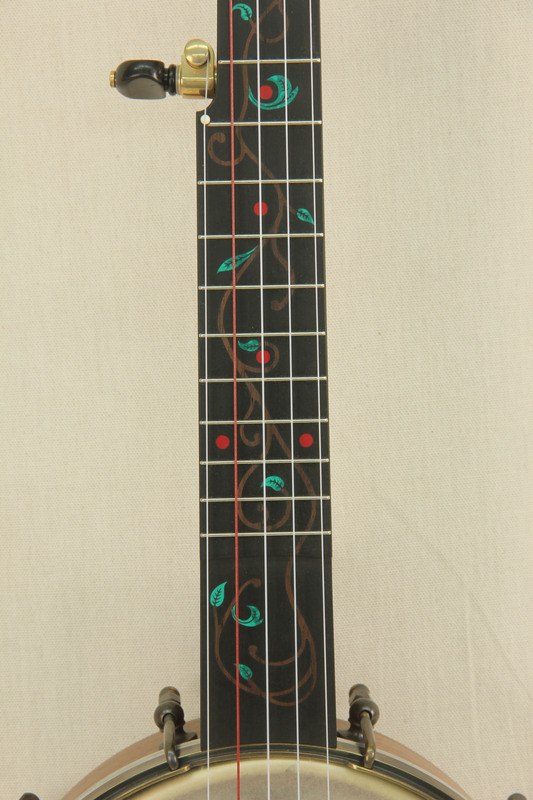 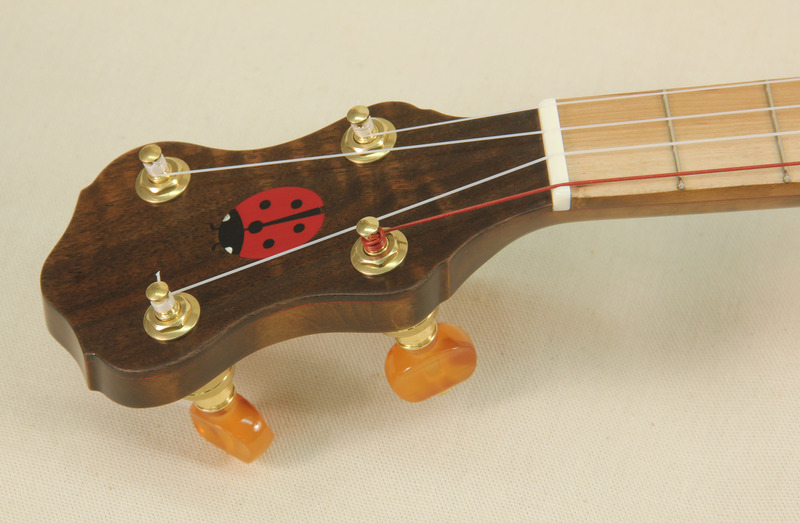 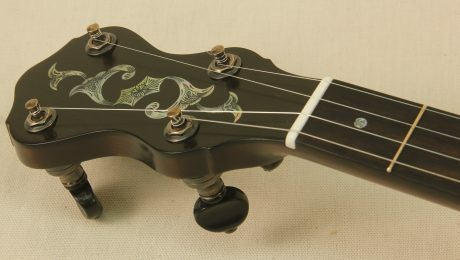 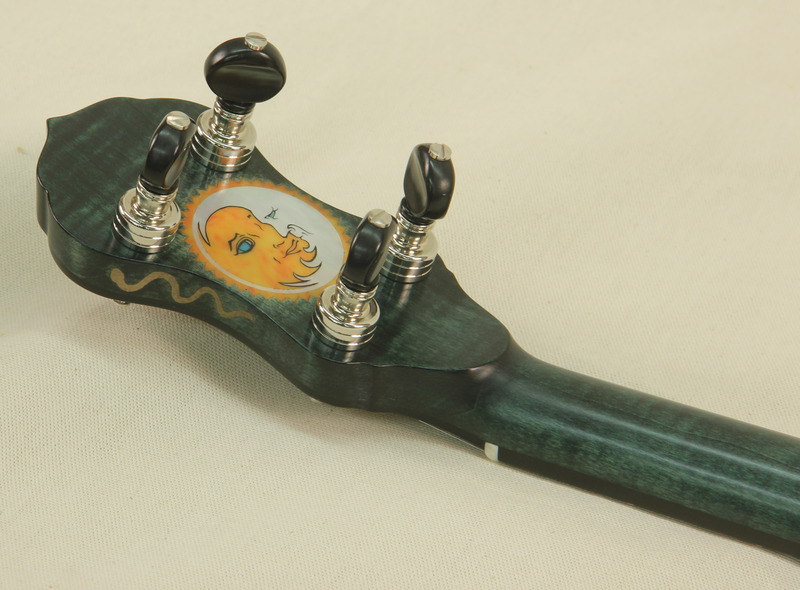 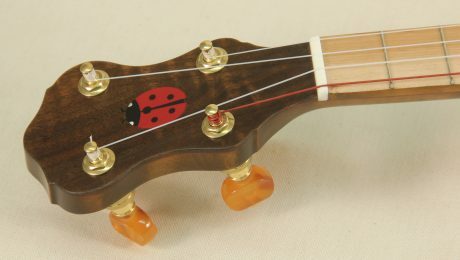 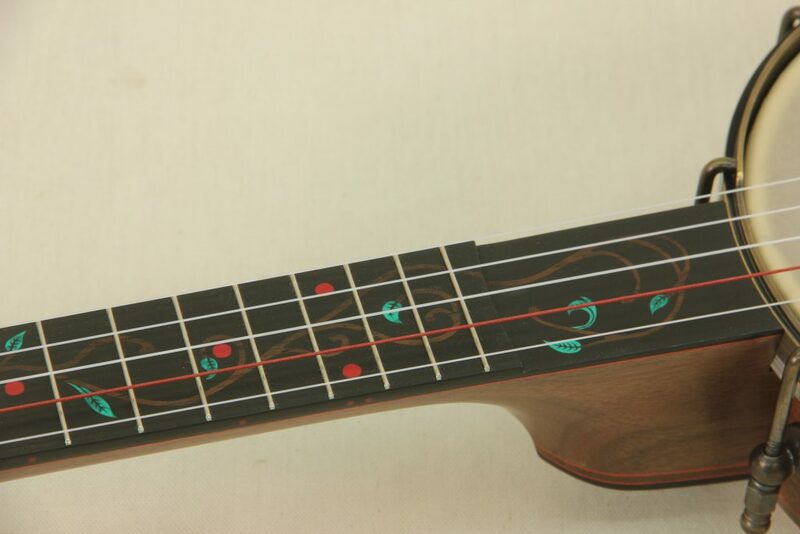 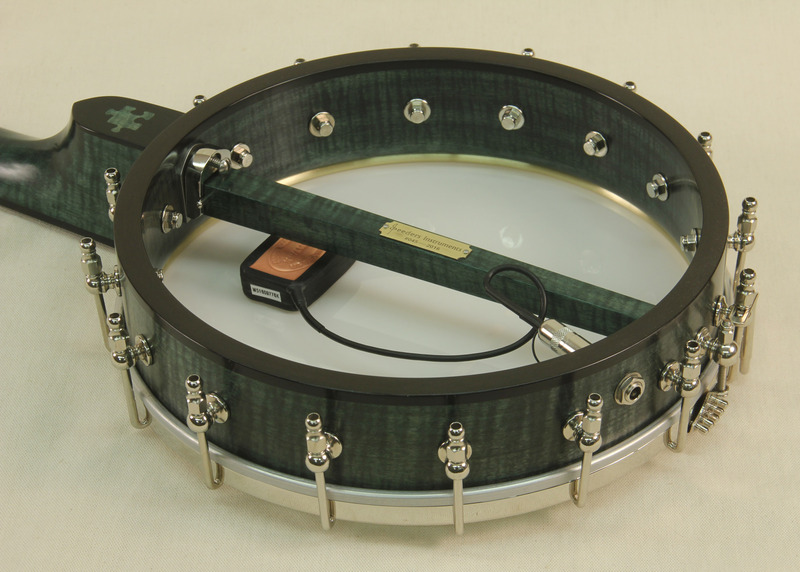 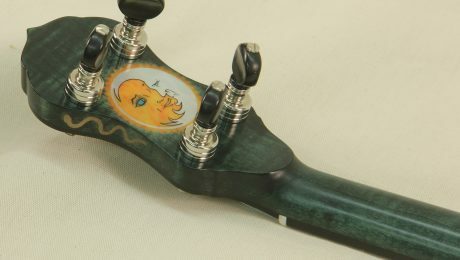 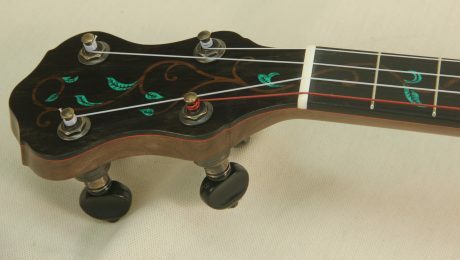 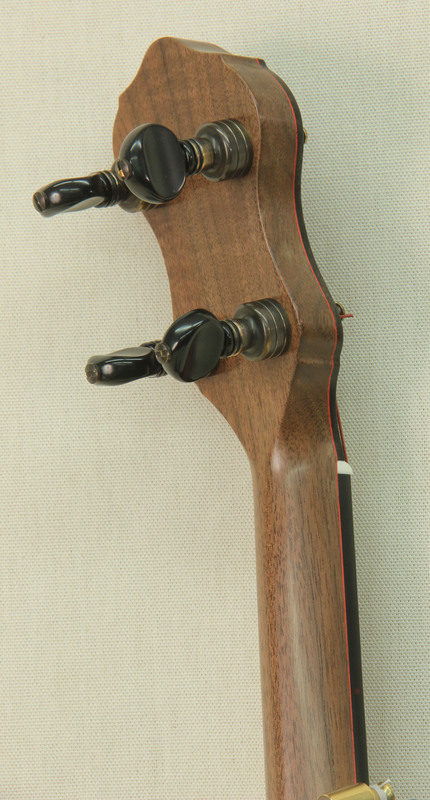 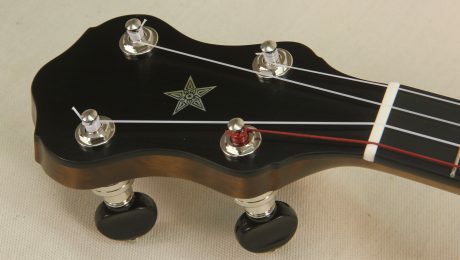 A piccolo/pony banjo made from Curly Maple with a Ladybug inlay. 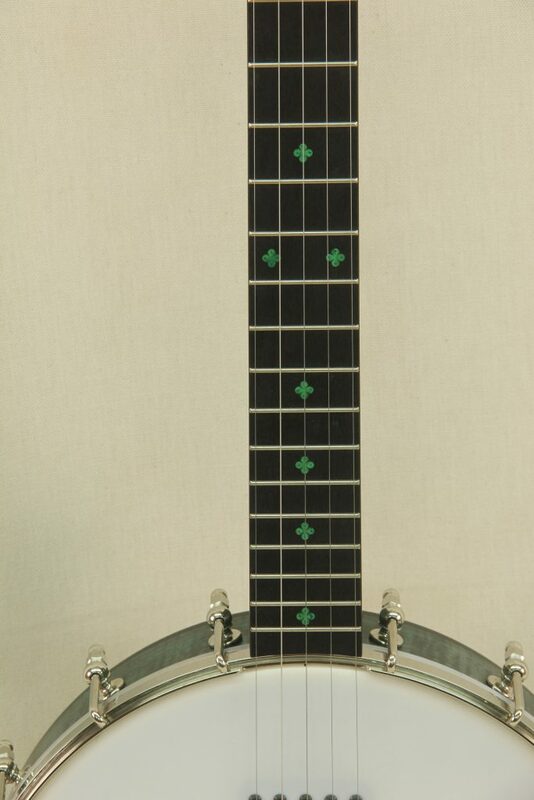 This banjo was built for someone who started it all for me. 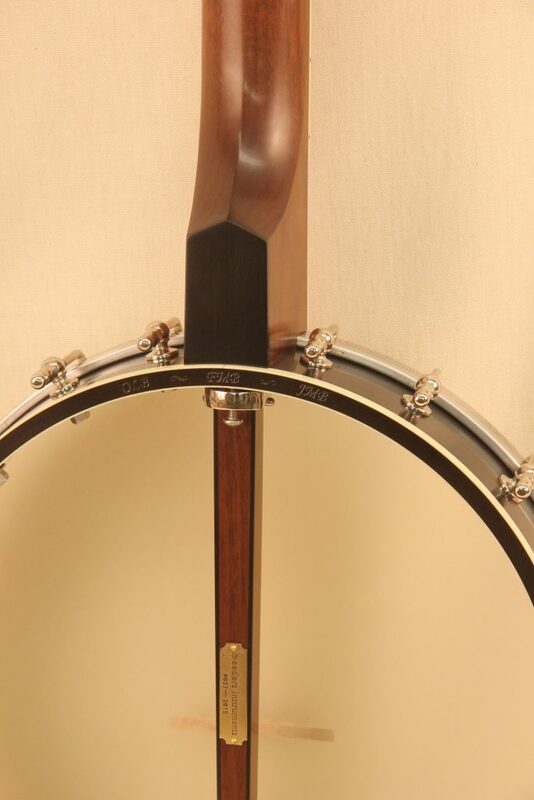 The 4 year old that the very first banjo I sold was built for and my piccolo/pony banjo was designed for was turning 9 and was finally ready for a full sized banjo. 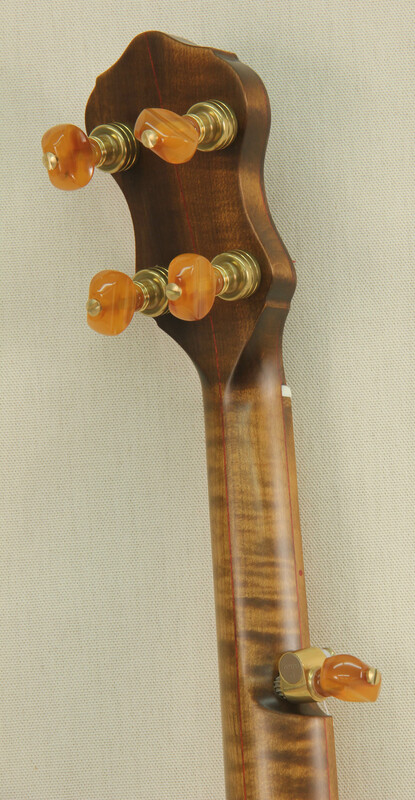 It’s a variation of my Style 3 model made from Cherry.